Despite that there are only 3 models listed in HIFI BOY brand portfolio, the amount of reviews, comments and feedback from the customers is numerous and widespread. Sources are found in Asia, USA, Europe and CIS region. Either people around the globe really like it or brand is doing very good marketing. We believe it’s the first and sharing the proof in this review. 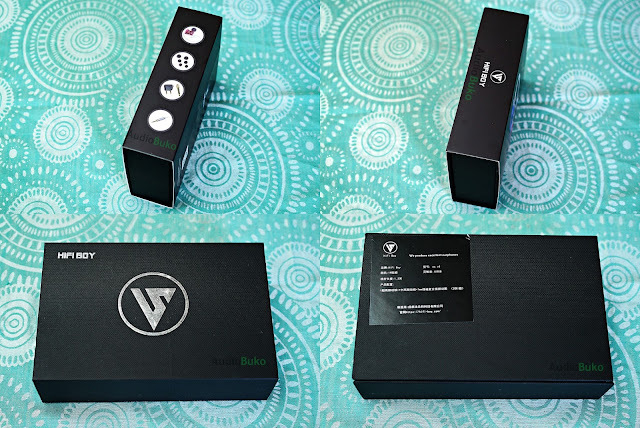 OS V3 box is wrapped with the additional cardboard slipcover which provides the information about main technical specifications and box contents. Removing it would reveal black matt box with shiny silver brand name and logo imprints. Top cover features folding design with strong retaining magnet. 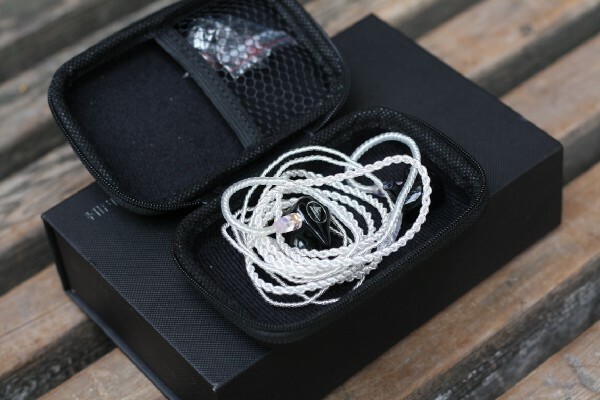 Inner box compartment is neat and simple — most of the additional accessories as well as IEMs are packed inside the protective case while the additional adapters has their own cutouts in soft podium insert. OS V3 shells are made of plastic with transparent glossy resin layer on top. This layer makes the whole construction feel very solid. Shiny silver brand logos are also protected by the resin layer. Sound output nozzles are protruing from shells and make a single piece. 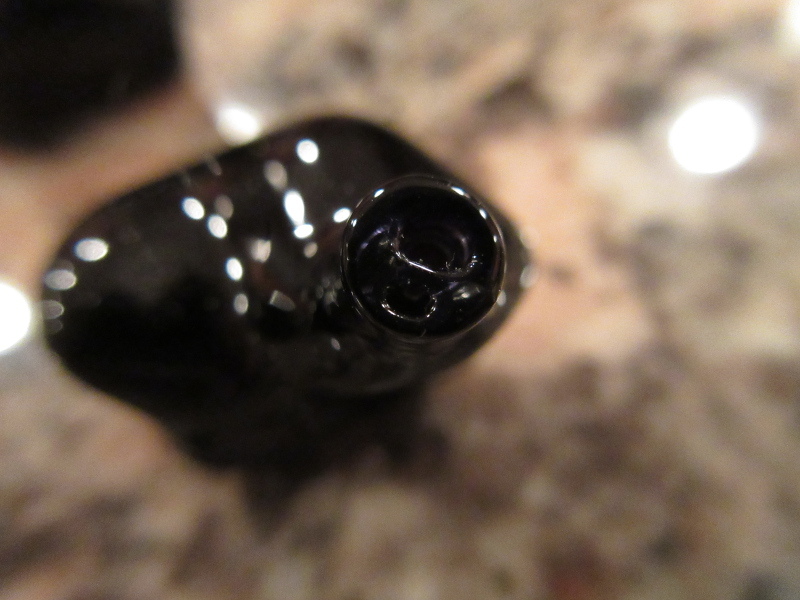 Holes on top of the nozzles have different diameters and are not protected by any filters or grills. Compensational openings are located on the back edge of the shells. 2pin, 0.78mm connector bases are slightly recessed inside the case and have pretty tight holes for the incoming pins. 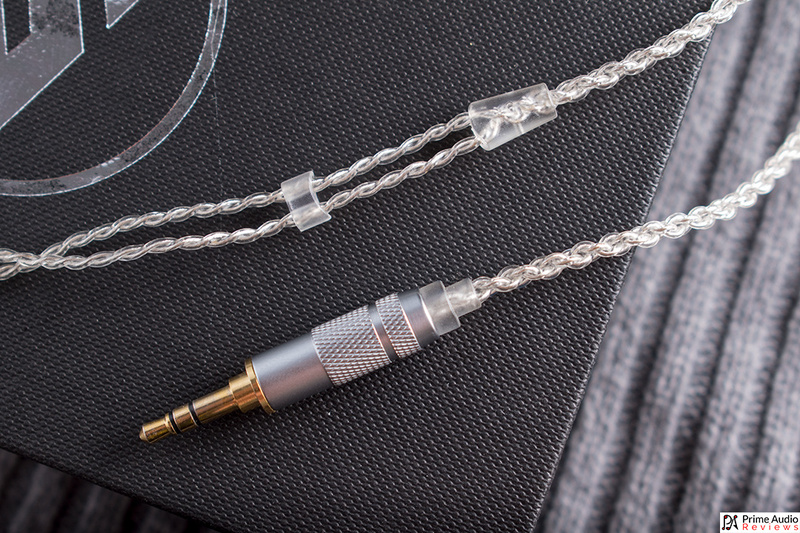 Stock cable is 1.2 meters, made of OFC silver-plated twisted cores, features aluminum audio jack housing, Y-splitter, limiter and 2pin connectors made of transparent plastic and flexible earguides. There are blue (left) and red (right) channel indicating dots on 2pin connector housings. We have defined several types of shapes for ourselves that are commonly used in different IEMs: bullet (like Rose Mini2), moon (like TFZ No.3), drop (like Earnine EN2J), triangle (like LZ HIFI A6) and custom (like Kinera Idun). Only two of these are highly universal and always comfortable — bullet and custom. HIFI BOY OS V3 belong to custom design type with complicated shape that’s, in fact, having a perfect fit. No problems with the choice of eartips and very good experience during different physical activities. Very good performance here. Bass presence is pretty big and accented which influences entire sound and makes it warm. Although, the extension of bass is only moderate in favor of dense and controured feel. It doesn’t bleed either into higher frequencies or lowest regions and stays perfectly audible (as if we were using closed type overheads). Texturing is above the average but doesn’t surprise too much due to restrained bass extension and mostly compact delivery. Such behavior on lows builds very good ground for midbass section. It sound powerful, tight, equilally tinted by bass and treble and perfectly controlled. Dynamics is decent, drums sound rich, lively and full-bodied. 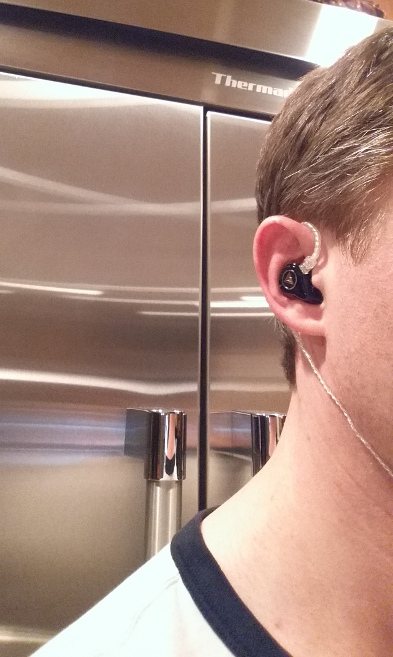 Moreover, impedance of OS V3 IEMs makes those to be an easy load for the most of audio sources (even smartphones). This also help to maintain good articulation and dynamics at higher or lower volume settings. Mids feel recessed in comparison to other ranges but only very slightly — just enough to have good warm influence of bass and more resolution on top provided by treble. Female vocals don’t sound harsh or shouting even with recordings that would usually suffer from that. Male voices are pretty close to stage front and pretty thick as well. Resolution on mids might have been better with larger presence of treble but this would also lead to less smooth presentation and more sibilances. In overall, we like that mids have this nice warm timbre and enough thickness — this makes the sound more enjoyable for longer time. Additionally, there is quite good instrument separation and enough distancing from the lower range. Treble is more emphasized than mids but still not sufficeint to make the sound feel bright. We would say that it is quite soft and thick, with moderate extension and just enough to add the adequate clarity and resolution. Such approach is much closer to dynamic drivers, rather than BA units. We’d never take the right guess about driver types in OS V3 in blind test. Hard to judge on that matter if the entire sound is on the warmer side while treble is added that much of body and little accent. Anyway, very good micro dynamics here that should have given us a clue during our guess. 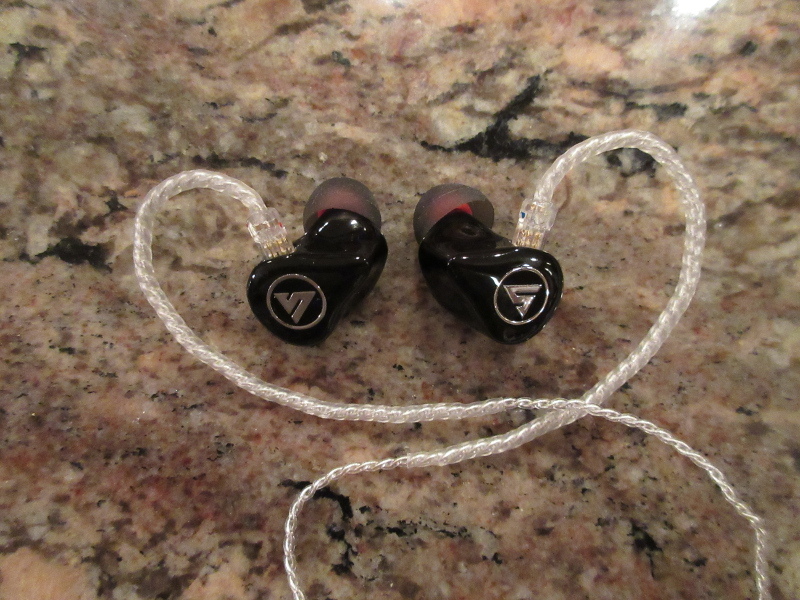 Some new experience with hybrid IEMs in overall and rare example of signature affiliation with dynamic models. We can think of the opposite example — TFZ King Exclusive — dynamic IEMs with surprisingly clear and emphasized treble that reminds us of balanced armature sound. Imaginary scene width is slightly above the average. Tight bass doesn’t let it to expand further to sides while treble doesn’t help much to define huge vertical domain. What’s really good is layering and instrument separation in mids which creates a feel of tidy depth. HIFI BOY OS V3 sound can be desribed as only slightly V-shaped, having a warm timbre, with perfectly contoured bass, decent midbass, fairly balanced vocals with good overall resolution on mids and slightly emphasized but not that extended treble. Very good for blues, jazz, vocals, instrumentals and other slow genres with limited amount of instruments. 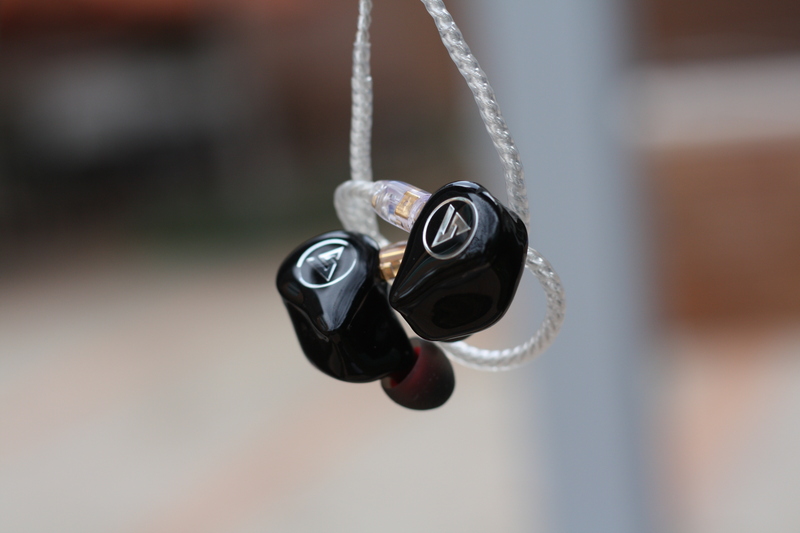 A6Mini IEMs also belong to hybrid type but feature piezo-electric driver to handle the treble range. This gives the additional microdynamics, extension and clarity to treble with brighter signature in overall. Lows and midbass are pretty similar to OS V3 while A6Mini mids sound a bit thin and distant. Although, the resolution of mids is slightly higher and caused by heavier influence of sharper treble. 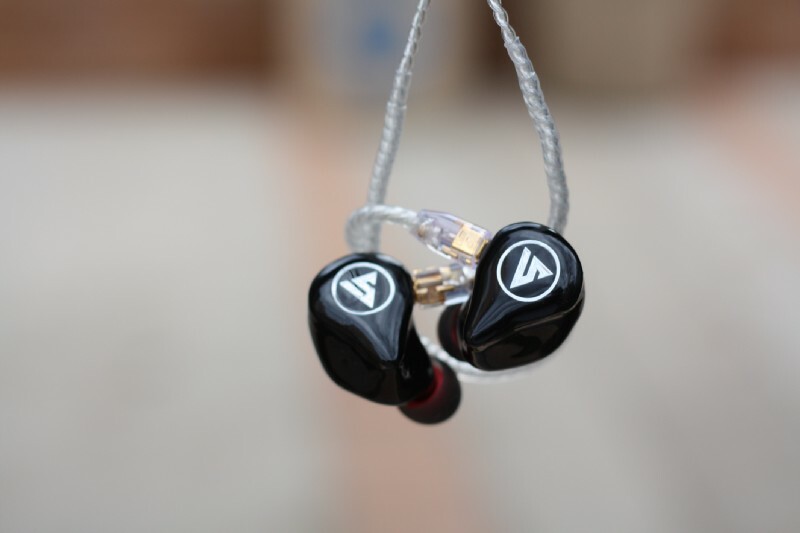 CP IEMs belong to pure armature set of drivers with excellent resolution and texturing. Despite that, signature is on the warmer side as well. The only two things that NEO lacks are more bass presence and more powerful midbass. OS V3 IEMs are exposing bass and midbass better while having less resolution and texturing in overall. Timbre of both models is kind of similar. We would recommend Shozy & Neo CP for faster genres with larger amount of intruments while OS V3 would be better for slower genres and for people that are more susceptible to treble. 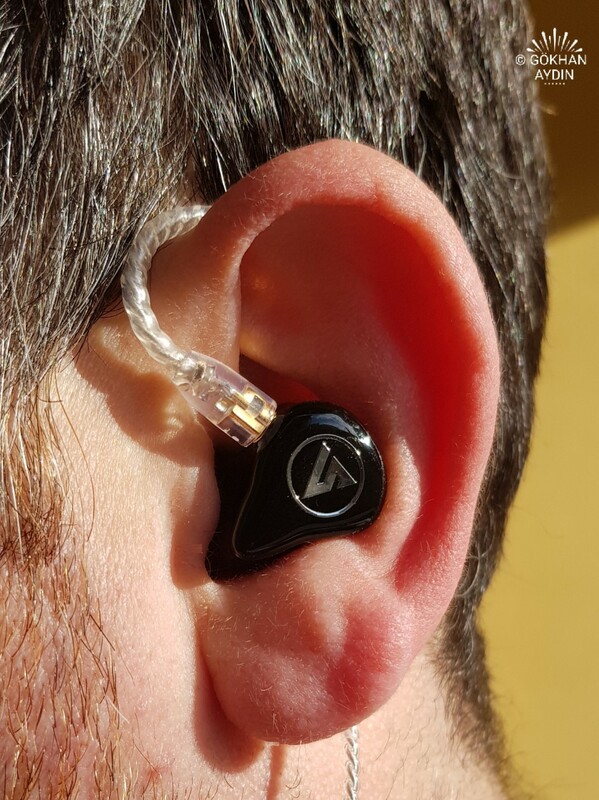 This is the third model of IEMs in our practice that brakes the rules and broadens customer choice in corresponding type or budget. HIFI OS V3 sound differs much from its hybrid siblings by combining armature driver micro dynamics and speed with warm and mild temper mostly common for dynamic models. Such tuning results in very good vocals, pretty balanced overall perception and fatigue free long listening experience. Therefore, HIFI BOY OS V3 deserves a special treatment for its rare sound signature, interesting combination of dynamic and armature driver benefits and their will to go against modern practices of building punchy but tiring presentation. Another great Review! How do You compare this Hifi Boy with the Kanas Pro and the Tanchjim Oxygen? Thanks in Advance. 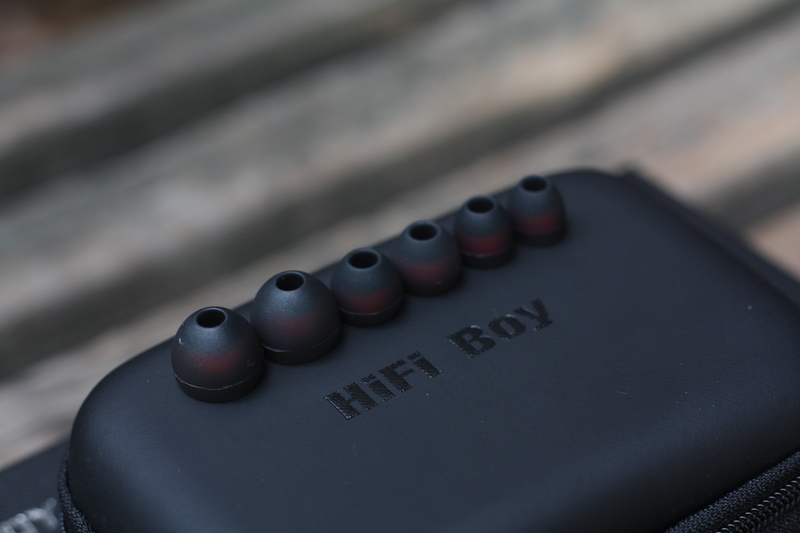 Hifi Boy is a subsidiary of Chengdu Fallante Technology Co., Ltd. and is a new name in the earphone market. Recently they released their debut IEM, the Hifi Boy OSV3, a hybrid model with 2 Balanced Armature & 1 Dynamic Driver. And it’s good. Read on to find out why. At the time of writing, the OSV3 was listed at $159. This product was provided for the purpose of an honest review. I’m not affiliated with the company and all observations and opinions here are my own. The OSV3 arrives with a black cardboard sleeve covering a black box. On the sleeve is an image of the IEM with the slogan “All we want to do is just to conquer your ears! printed at the top. In the bottom right corner is the Hifi Boy branding and logo. 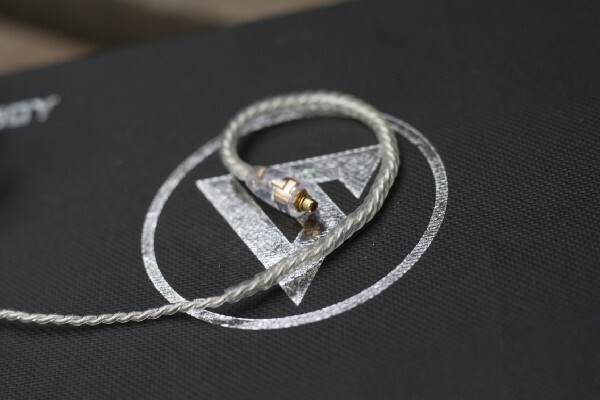 Beneath the sleeve is a black box, the kind which many fans of Chinese earphones will be familiar with. It has a lightly textured surface plus the brand name in the top left corner and the company logo in the centre. 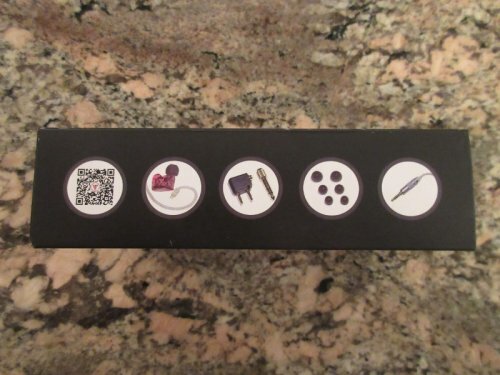 The lid of the box has a magnetic seal and opens easily from the front. 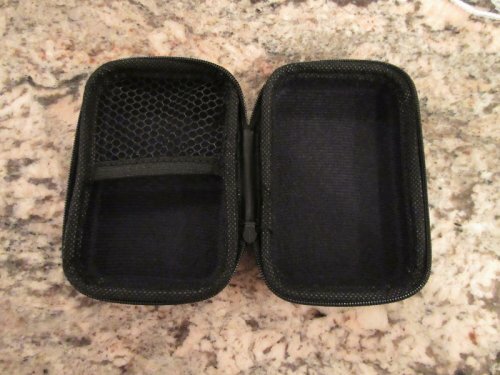 Inside the box is a black foam slab with cutouts to secure the included carry case, airline adapter and 6.35 mm adapter. Inside the carry case is where you’ll find the rest of the components; the OSV3 IEM, detachable cable and 3 x pairs of silicone eartips (S, M, L). It’s a fairly standard and basic kit but has everything you need. 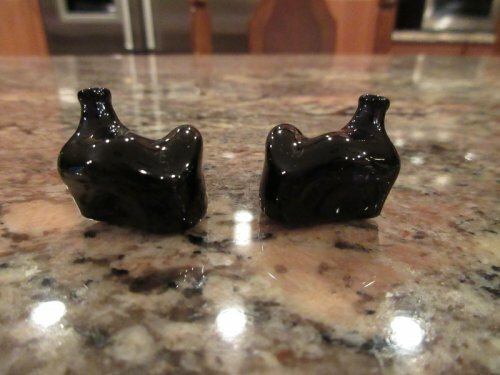 I would, however, like to see the inclusion of some more eartips and in particular some extra large ones. The included cable is silver-plated OFC. It’s very supple and flexible and feels nice to the touch. At the top end are the gold-plated 0.78 mm pins in a clear plastic block, Each side is delineated by a red or blue dot for easy identification. 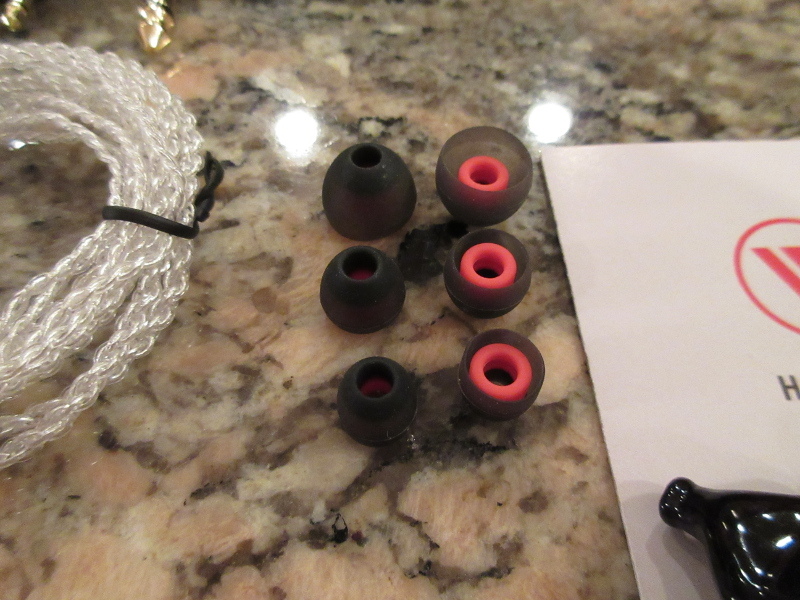 Here you’ll also find the cable pre-formed with heat-shrink plastic tubing to fit over the ears. Further down is a clear rubber Y-split with matching chin slider. Finally, the cable terminates in a sturdy aluminium straight plug with a nice strain relief. 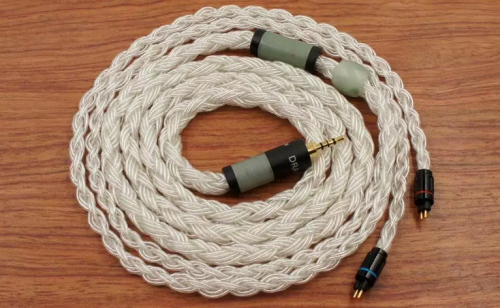 Overall, this is a high-quality cable and I like it quite a lot. The only downside is that above the Y-split the cable is quite thin and that, combined with the ear hooks is a recipe for tangles! 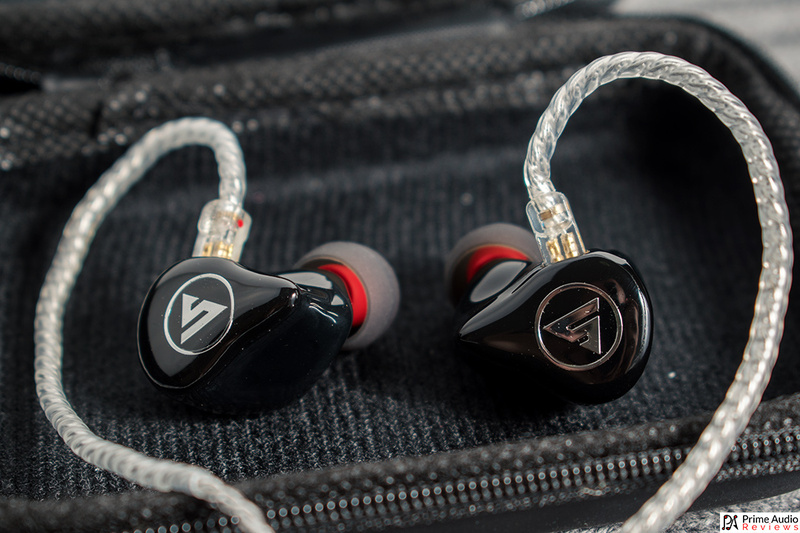 The OSV3’s shells are made of a smooth resin and similar in shape to a custom in-ear monitor. It’s available either in black or blue and red. The top edge has a small bass vent for the dynamic driver. 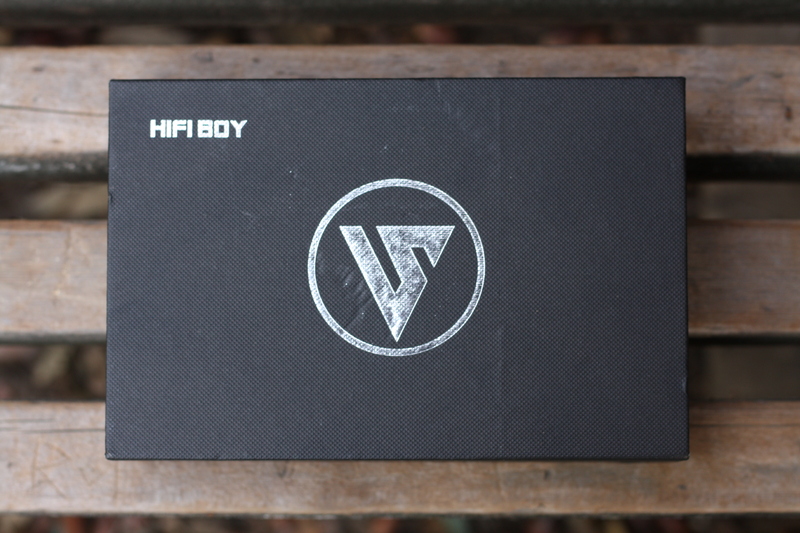 On the faceplates, the Hifi Boy logo is embedded in silver and gives the shells a premium appearance. The nozzles have a dual bore design and are a good length but the lip is not very pronounced so some eartips don’t sit securely. Each individual shell is hand-made and you can tell that a lot of care has been taken with their construction. They remind me a lot of the universal-fit sample units made by high-end custom in-ear manufacturers. The joins between faceplate and shells are flawless. Overall, the build quality is crazy good. The OSV3 is designed to fill the concha of your ear, similar to a custom in-ear monitor. I’m a big fan of this kind of shell but it can be a gamble for the manufacturer as people ear anatomy varies so greatly between individuals. I’m happy to say though, that these fit my ears like a glove. 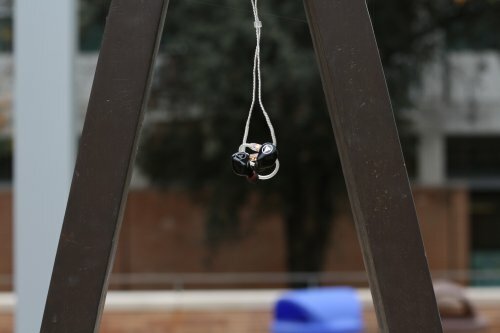 This is an earphone that I can literally wear all day long. 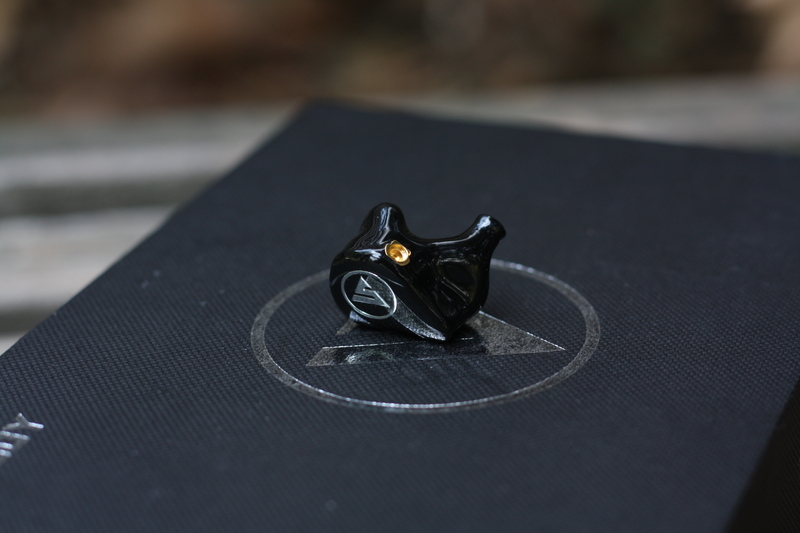 The smoothness of the shells and polished finish lend to a fit that just melts into your ear cavity. In terms of noise isolation, the OSV3 scores highly again. Filling up the ear concha helps with this a great deal and combined with the right eartips and a proper seal, this earphone blocks out more noise than the average IEM. The Hifi Boy OSV3 has a slightly V-shaped but still fairly balanced signature. A slightly boosted sub-bass and mid-bass are quite linear in relation to each other. The midrange is a touch recessed with a slight dip at around 800Hz-900Hz before it begins to rise again. I was glad to see the OSV3 didn’t go for the typical aggressive upper midrange boost that’s been so common in recent times. Instead, the upper mids and lower treble are given a little lift but remain reasonably neutral. Then there is a small peak at 9kHz and another at around 12kHz in the upper treble. These measurements may not be 100% accurate but should give a fair indication of the frequency response. I did most testing with my daily driver, the Acoustic Research AR-M20. It’s a good pairing but the Hifi Boy OSV3 also scales really well with a good source. Connected to the Arcam irDAC-II, there is a significant boost in resolution, detail retrieval and layering. This is an absolute killer combo. The OSV3 is reasonably easy to drive but I found to really perform with some added amplification or a more powerful source. However, it still sounded great straight from my Android phone. With it’s 7 mm on duty, the OSV3 has an excellent sub-bass that’s powerful yet reserved. It has solid extension and digs deep but retains good control throughout. Similarly, the mid-bass carries weight and authority with reasonably thick notes that deliver impact. Thankfully there is no lingering resonance so it avoids any bloom or sloppiness and simply delivers a satisfying punch. Katatonia’s “In The White” is a great song to highlight the OSV3’s fantastic bass. Lower mids are slightly forward, adding some warmth and body, which is great for male vocals and overall tonality. Because of the moderate thickness of the lower midrange and linear transition into the upper mids, the OSV3 doesn’t stand out as being ultra-detailed. Rather it takes on an organic and natural tonality and comes across as smooth and effortless. Electic guitars have just enough bite to add excitement and still sound tonally accurate. ACDC’s “Let There Be Rock” seemed like a good song to test the midrange mastery and the OSV3 delivered in spades. The OSV3’s lower treble dips around 5kHz-8kHz which mercifully sidesteps any sibilance or sharpness. This makes the treble smooth, inviting and ultimately non-fatiguing. The upper treble peaks around 9kHz and 12kHz, adding brilliance and airiness. Overall, the treble is a pleasure to listen to, sacrificing a hint of treble energy for the sake of comfort and I’m perfectly fine with that approach. In fact, I prefer it that way, rather than have a brittle or piercing top end. The stage presented by the OSV3 is not particularly wide, but there is plenty of depth to it. This makes the soundstage feel fairly intimate without being congested. Vocals sit in front of the listener while other instruments are placed nearby on either side. Imaging is about average, being neither particularly strong or weak. Think of the space more like a long hall, as opposed to a vast arena. There’s more space in front of you than there is on the sides. The Haydn Pro is tuned to what is commonly known as an audiophile tuning. It has a leaner presentation with thinner, faster notes, more detail and a more analytical approach. It’s quite the technical powerhouse. The soundstage is larger, in part due to its superior treble extension, with strong imaging and positional cues. The OSV3, in comparison, offers a warmer, more inviting sound and is less fatiguing on the ears. Where the Whizzer aims to reveal everything in a track, the Hifi Boy is aimed more at emotive listening. The Toneking Nine Tail (9way) with just a single dynamic driver, delivers an incredibly mature and technically adept sound. It has a natural, organicness that is filled with detail but still very musical and extremely engaging. Female vocals are slightly more forward on the 9 tail while the OSV3 has more weight in male vocals. The bass doesn’t have the impact or weight of Hifi Boy’s IEM. The 9 tail has more perceived clarity as a result of a more accented upper midrange, where the OSV3 is more linear and thus smoother overall but more resolving. The OSV3 has a slightly more accurate tonality. 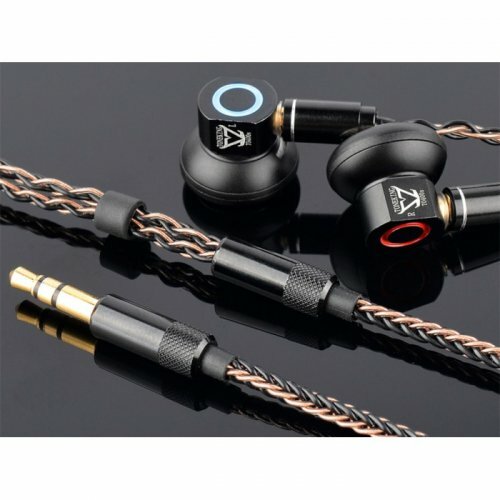 These are both stellar IEM in terms of price vs performance. The DM200H has more of a mid-bass hump but it doesn’t carry over as much warmth into the lower midrange as the OSV3. It puts more emphasis on the upper midrange, making the overall sound a little brighter in contrast and vocals more recessed compared to the OSV3. Both have a clear but smooth treble, with peaks at 9kHz and 12kHz. The OSV3 has a warmer tonality with slightly less clarity in the upper midrange. These are both excellent IEMs and I’d be happy to use either as a daily driver. On the box, Hifi Boy said they wanted to conquer my ears and by golly, they’ve done just that. 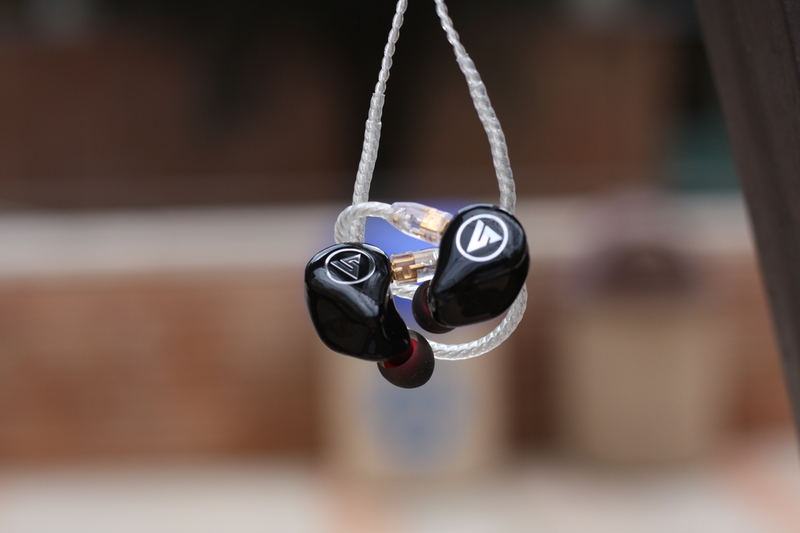 Their debut IEM marks a very strong entry into the crowded marketplace. The OSV3 is not cheap but when taking everything into consideration provides excellent value for money, although the bundled accessories could be improved upon. 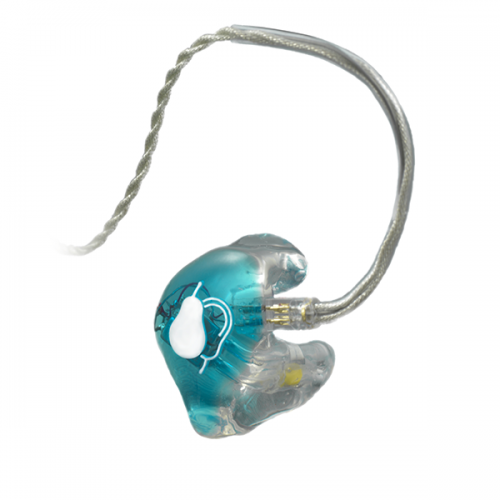 The IEM itself is extremely well built, comfortable and technically proficient. Its warm overtones provide an inviting and fatigue-free sound while retaining good resolution and detail. I can’t wait to see what Hifi Boy does next. Will they strive for the more upmarket segment or lean towards more budget oriented products? Whichever way they decide to go, I’ll be eagerly awaiting their future releases. guicnovaes, Adide, Otto Motor and 3 others like this. Great review! What rig do you use to do this measurements? @guicnovaes thanks. For measurements I use a Vibro Veritas coupler with foam tips when possible for a more consistent fit /seal. Thanks! Now i surely can compare your graph with Brooko's graph of the Fiio FA7, because he uses the same rig as you. Pros - Great Bass, good mids and highs, good detail, clarity and soundstage, and can be used to listen to a variety of genres. Cons - Can definitely benefit from better packaging (The Kinera Seed packaging looks good in this regard) specially at this price range. The HiFi Boy OS V3 was brought to my attention thanks to a friend who knew what I liked in an IEM and I was surprised that his recommendation is for a company that's new to the world of audio, "HiFi boy is a high-end hifi audio brand launched by China Chengdu Fallante Technology Co., Ltd." from the About page on their website with the OS V3 as their first shot at making a mark in the audio world. Barring any superhero insignia references, lets see if this is HiFi Boy's Symbol of Hope. My HiFi Boy OS V3 was bought from the Penon website ($159 USD or Php 8,276) and is the Blue and Red version (there is a Black one available too.) There was a nice little Penon velcro cable wrap added to the package, a nice little touch (considering, you'll read why later on) while the vacuum sealed box taunted me with the goodies held inside. The cardboard sleeves have some branding and images of the stuff inside. Sliding the sleeve off reveals a hard matte box with the HiFi Boy branding and a sticker stating the specs of the IEM. Inner box contains an airplane audio plug, a 3.5mm to 6.5mm adapter and the branded semi-hard pouch which olds the OS V3. Let me just say that the airline plug isn't on the top of my list of accessories while the adapter was alright and the case is similar to most China audio cases included in cheaper products. As advertised on Penon (but not in the packaging), the case contains a generous amount of tips! 3 pairs of red and blue cored silicone tips (s/m/l), 1 pair of small wide bore white tips, 1 pair medium wide bore blue tips, 2 pairs of white/ and blue double flanged tips (m/l) and lastly 2 pairs of foam tips (s/m). It also has a user guide (that I didn't read through, I'm a rebel like that) and of course, the precious ones. As I mentioned earlier, that Penon wire wrap is going to be useful coz that yellow one doesn't do the cable or the IEM any justice, it's there for the sole purpose of holding the wires till you can rip it off and forget about it. Another is that the plug is supposed to be Rhodium, but looks like it's Gold to me. Not really a big thing for me, it just needs to be straightened out. 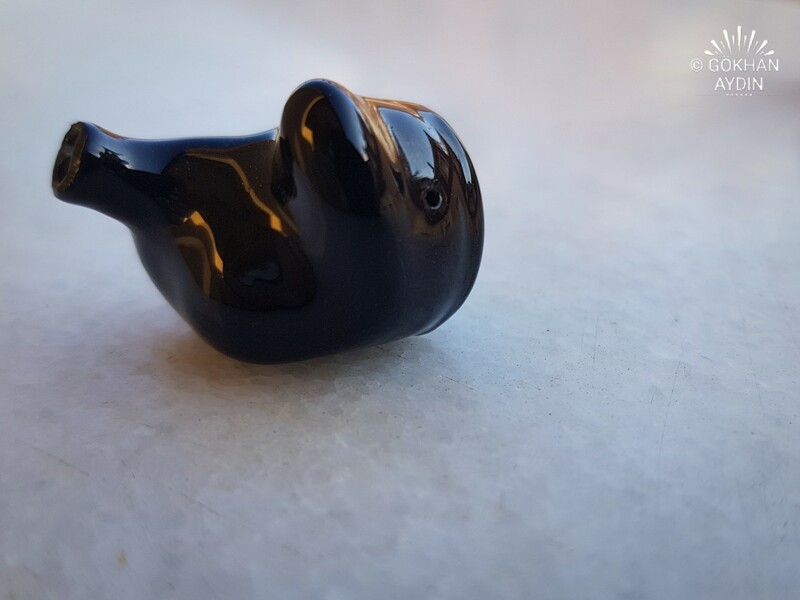 The IEM is made of semi clear resin and hand made, shaped into a universal custom shell that fits extremely well in my ears (and the few other ears I've since lent this to) that looks like it took cues from Ibasso. These are some beautifully crafted shells, I cannot feel the seams and they feel solid in my hand and ears. At the back, there is one vent hole for each IEM to aid in (I'm assuming) creating bass and avoid that in-ear pressure problem on some designs. Though I haven't seen any bubbles in the shell itself, on the nozzle which has 2 channels, there are a few small ones. Being normally covered by ear tips, I don't think it's a deal breaker. The tip lip is good sized enough to keep most tips I've used to stay in place, And that cable is definitely one of the better one's I've used at least in wearing them as they do not try to unroll off my right ear (which is why I like mmcx connectors) which aside from looking good, it feels sturdy and yet soft. You can see the workmanship that went into this as well as the parts used, the semi clear case makes it look all the more interesting. The logo on the face is embeded in clear plastic (or acrylic) which protects it from being rubbed off. Bass, when I first tried it on the WM1a, the sub-bass hit me like a truck! It was strong if a bit sloppy/splashy, with a lot of bass quantity that drove me from mild mannered balanced audiophile to raging basshead. After being burned in, the bass hits deep and more precise though that feeling of a wide slam is not as strong as before, it gives a nice satisfying rumble with detail and faster decay. On a more neutral DAP (I borrowed FACE Review's R6) the bass hits, well and good, just not as strongly felt vs my warmer Sony. No matter what DAP you use, the bass will be very fun, and ever present in any track that has a hint of bass that flows into the mids very well. 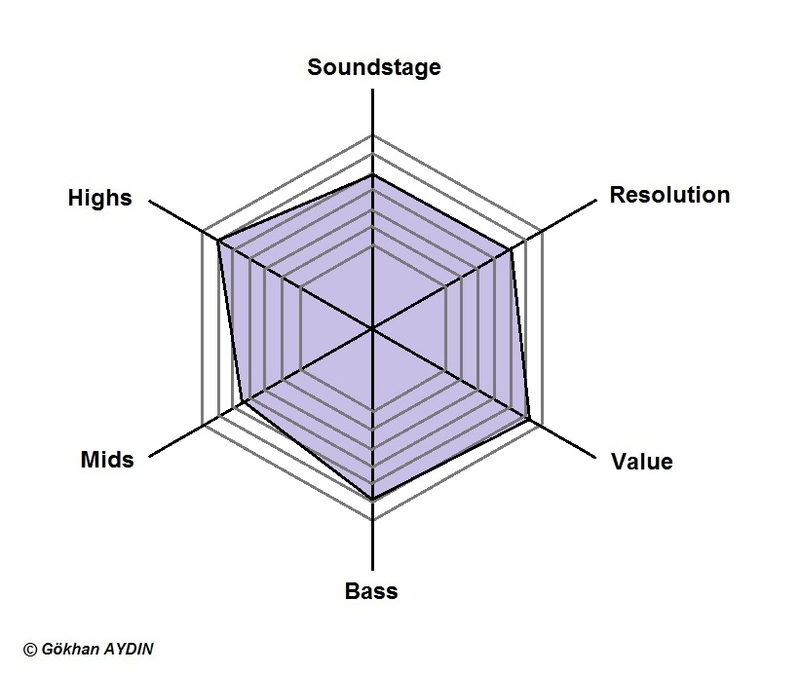 Mids, are on a more balanced profile vs the bass, it presents good clarity and detail retrieval. Vocals aren't thick but there is a touch of warmth that adds to the liveliness of the voices you hear, with females like Sarah McLachlan and Norah Jones taking your attention away from day to day life. Male vocals aren't in last place with the OS V3, as the lower mids help guys like Ed Sheeran and M. Shadows sing to you with a smile or gritted teeth (whatever floats your boat). Highs, though not the crispiest, it has a good amount of sparkle and air with smoothness and detail you can jive to. The highs extend a fair bit but you wont hear any harsh crashes or sibilance. Music like AC/DC (A Long Way to the Top) will show you how much dad's music still rocks on these IEMs. Soundstage and clarity on the OS V3 is pretty good, as the separation of instruments, voices and sounds lead to a more spacious experience with moderate depth. Positioning is accurate via the virtual haircut app and the songs I've played through it. 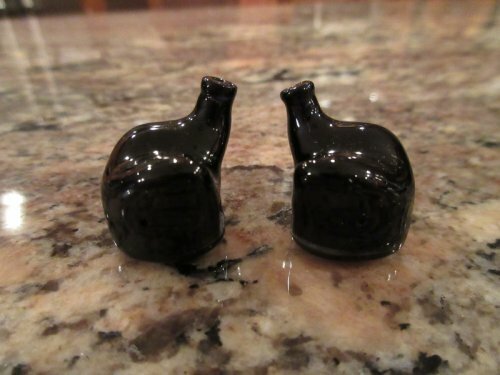 It's been awhile since I felt this excited about an IEM (or headgear for that matter), as this made me realize I haven't really outgrown my love for good bass. Almost any song I played through it felt good to listen to, and listen I did, for hours on end as I tried to find any glaring problem with it, to date, I can't really say anything bad about it. 80's music felt right at home, rock makes me want to bang my head, jazz soothes my nerves, pop and dance makes me want to sway, heck even classical music sounds good here (may lack the air and brightness some fans desire for it though). 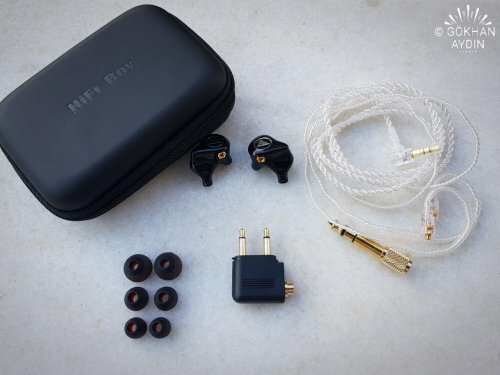 Overall, the box is a bit average, the accessories are well and good, but these IEMs are the biggest surprise as I feel that it's great value for money, great sound and great looks. In my opinion, this is best paired with a neutral sounding player to lend a more organic feel to the music. This is definitely a great start for HiFi Boy. PS - I may add more thoughts on the OS V3 in the coming days, provided my new upgrade balanced cables arrive. *For this I also tried classical music playlists on Spotify. Adide, ngoshawk and hqssui like this. Pros - natural tonality, good retrieval of details, comfortable fit and great sound isolation, 2pin removable cable. Cons - cheap accessories, nozzle could benefit from a bigger lip. The product was provided to me free of charge for the review purpose in exchange for my honest opinion. 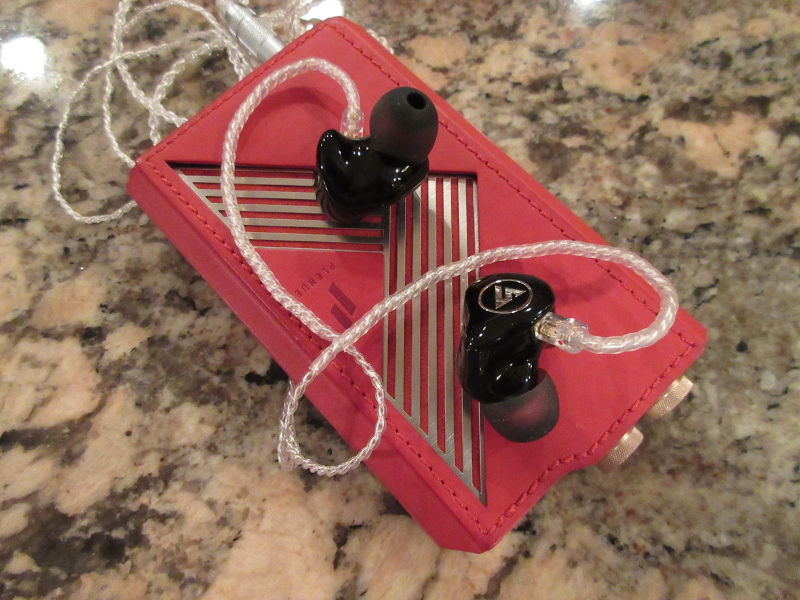 The review was originally posted on my blog, and now I would like to share it with my readers on Head-fi. 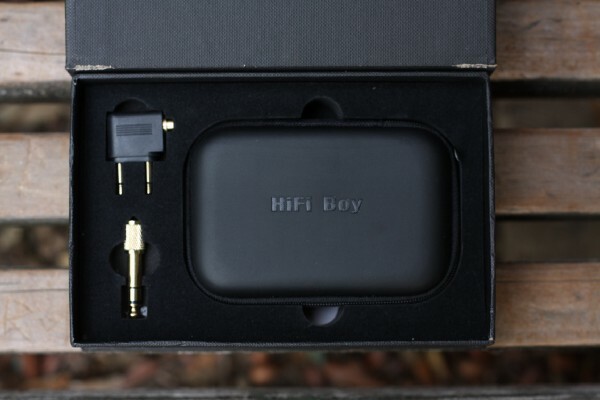 Manufacturer website: HiFi Boy, available for sale on Penon Audio. This review is for a new 2pin version of OS v3, which was re-tuned from the original mmcx version of this iem. 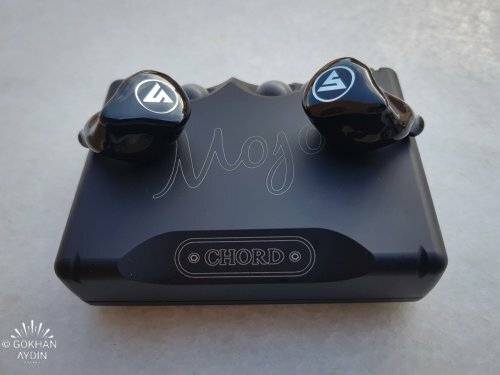 While I have been focusing lately on higher end IEMs, sometimes I come across a budget gem which deserves a spotlight. 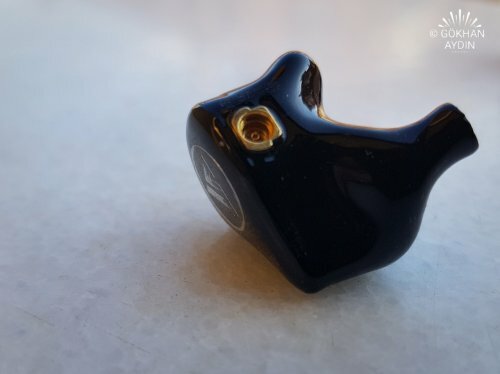 I know that for some people "budget" will mean a different thing, but relative to many $2k-$3k IEMs I had the opportunity to test and to review, this $159 IEM from HiFi-Boy is quite affordable and has a great price performance ratio, along with a very addictive natural tonality. Not much info is available about HiFi-Boy, except that it was launched by Chengdu Fallante Technology in China and its CEO, Mr. Chen, wanted to create a cost-effective high-quality IEM. 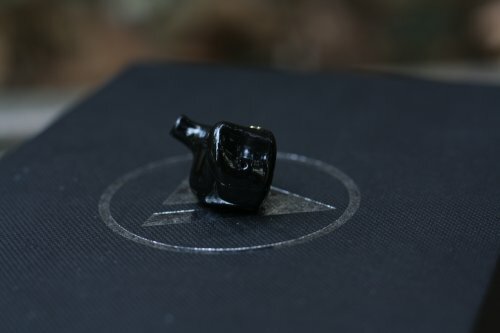 In my opinion he achieved that goal, but I must give a credit to Penon Audio for featuring this IEM in their store so that audio enthusiast outside of China can discover it. Now, after spending a month with it, I want to share my experience using the latest updated (new 2pin version instead of the original mmcx) HiFi-Boy OS v3 (OSV3) iems. 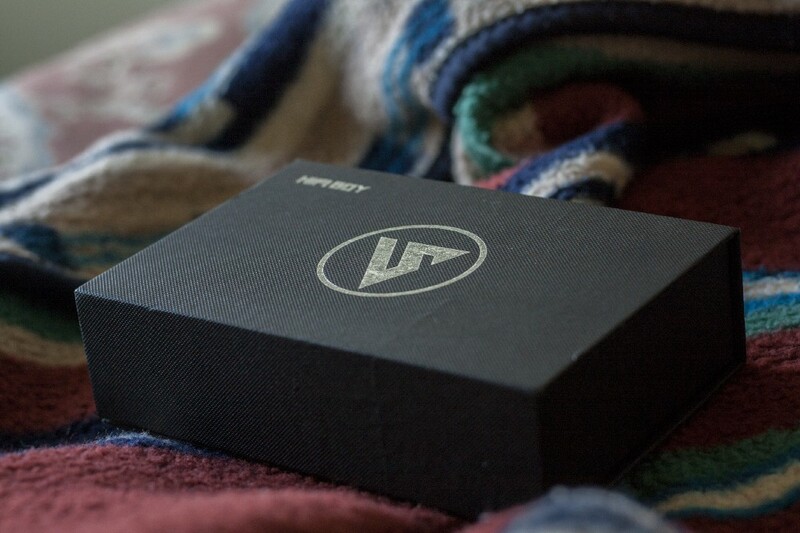 The unboxing experience here is basic: a colorful sleeve over an average size sturdy box with magnetic flip cover. Once you remove the sleeve and open the box, you will find a foam cutout, securely holding a travel case and a few accessories. Accessories are basic as well. 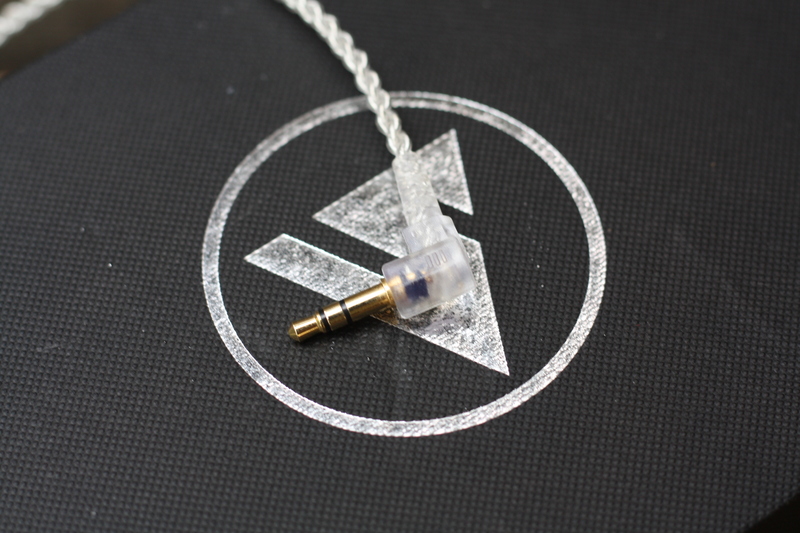 You get a set of 3 pairs of silicone eartips (S/M/L). Surprisingly, I found the large size pair to give me the best fit with a perfect isolation, so no need to tip roll. You also get a roomy travel case, bigger than a typical round clamshell, with enough space for an aftermarket cable and a few other accessories. It's a cheap case, but very practical. Obviously, a removable cable is also a part of accessories which I'm going to talk about it in the next section of the review. Also, included were an airplane adapter and 1/4" adapter, which I consider to be filler accessories; perhaps someone will find it useful. 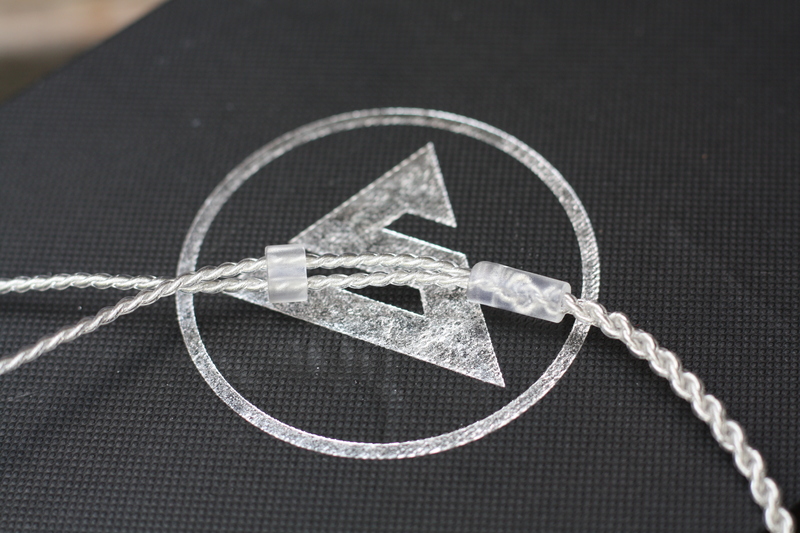 The included stock cable is very flexible, thin, and lightweight. The wires are silver plated copper with 5N purity of OFC core. The cable has 4 separate conductors, inner-twisted and not braided, with a clear insulation sleeve which reveals the silver plating. 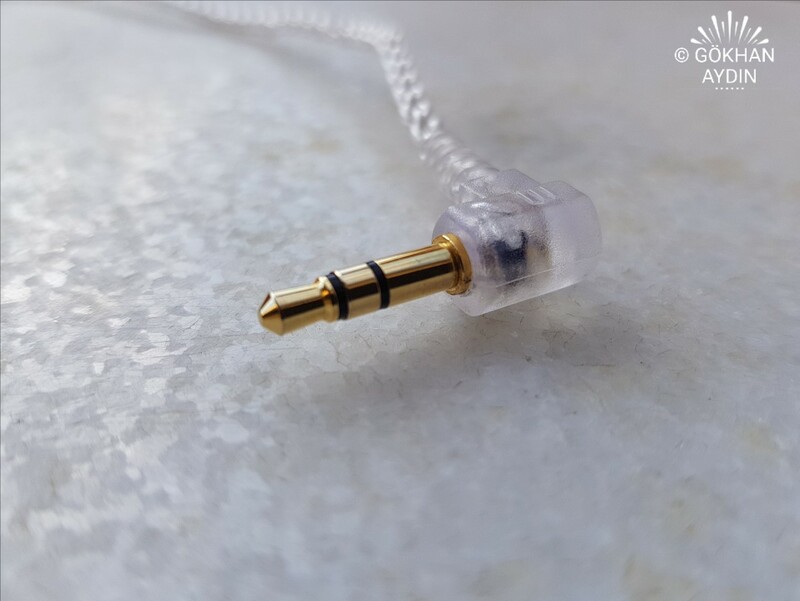 The headphone plug is gold plated single ended 3.5mm with an aluminum housing that has a nice grip and a short strain relief. Y-splitter is a small transparent rubbery mold, and chin slider is also transparent, rubbery. There is no memory wire, instead you have a pre-shaped flexible earhook piece formed by a clear silicone heat-shrink tube. 2pin connectors have a clear rubbery housing and red/blue dots for a quick id of Right/Left sides. I did find 2pin connector socket in OSV3 to be a little tight and slightly angled (very slightly). As a result, be careful not to force the connector too hard when plugging in cable. Overall, it's a nice upgraded stock cable with a typical budget SPC wire performance. Since I have access to many different aftermarket cables, including Penon's own OS849 and GS849, I wanted to see if the sound of OSV3 will scale up using different wires. stock vs Ares II - soundstage is a little wider and overall sound is tighter and faster. I can hear the bass being faster and more controlled, especially when it comes to separation with lower mids. Lower mids still have full body, but a little leaner, with notes being not as thick. Upper mids are more forward, making sound sig more balanced, with improved retrieval of details. Treble is very similar. stock vs Ref8 - soundstage is a little wider and overall sound is tighter and faster. I can hear bass being faster but not as fast as Ares II. Still, it’s an improvement over the stock cable. Lower mids are a little bit leaner, upper mids have improved retrieval of details, a little more forward, but not as much as Ares II. Treble has a little more sparkle. stock vs OS849 - soundstage is a little wider and overall sound is tighter and faster. The bass quantity is very similar and maybe a touch more neutral in comparison; mids are a little more forward, making overall signature more balanced with an improved multi-driver coherency. The biggest difference here is upper mids/lower treble being a little smoother and a little less harsh, making the upper end to sound more natural. This is probably my favorite pair up. stock vs GS849 - wider soundstage, as expected, and a tighter/faster sound due to a blacker background, just like with other cables. But I hear a little different effect on bass, where in addition to being faster and tighter, it’s also a little more elevated with a harder punch. Mids have more clarity, improved retrieval of details, but their presentation is similar to a stock cable, still being a little pushed back. Treble has more sparkle and more airiness. This cable pushes OSV3 performance more toward v-shaped sound sig due to an elevated bass and a brighter treble. OSV3 has a 3-way hybrid design with a single 7mm dynamic driver for lows and 2BAs, one for mids and highs and the other one for ultra-highs. I assume it has a 3-way internal crossover, though to my surprise I can only see 2 bores in the nozzle which suggests that drivers are partitioned into two groups, under my assumption with each sound tube going to one of the bore openings. There is also a pinhole vent on the side of the shell, for a dynamic driver tuning. I didn’t see any pinhole around the nozzle, and can also confirm no driver flex. The faceplate has a HiFi-Boy symbol design, where you also have a selection of either all black shells, or red/blue shells according to right/left sides. 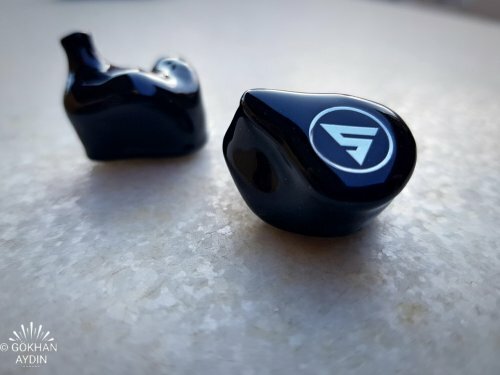 The ergonomics of the shell itself is what I call a custom-universal since it has a universal nozzle for eartips, and yet, it's sculptured to go into concha area of the ear to give you a more comfortable and secure fit, similar to StageDiver and iBasso iems. 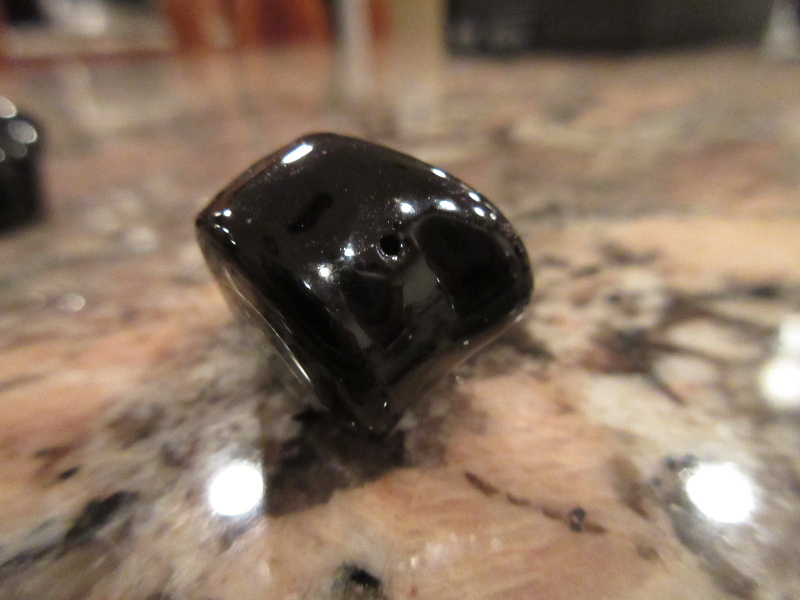 The shell is very compact, and according to manufacture, made from a resin material. My only comment here is that a tip of the nozzle doesn't have a big enough lip to hold on securely to eartips. Of course, it all depends on the eartip selection, but while tip-rolling, some of the eartips ended up in my earcanal after removing the shell. For me personally it's not a showstopper since I end up using stock eartip which have a very tight grip. Another thing worth mentioning is that with a proper eartip selection, I was able to achieve a very good passive noise isolation. It was just perfect to tune out outside noise so I can enjoy the music. 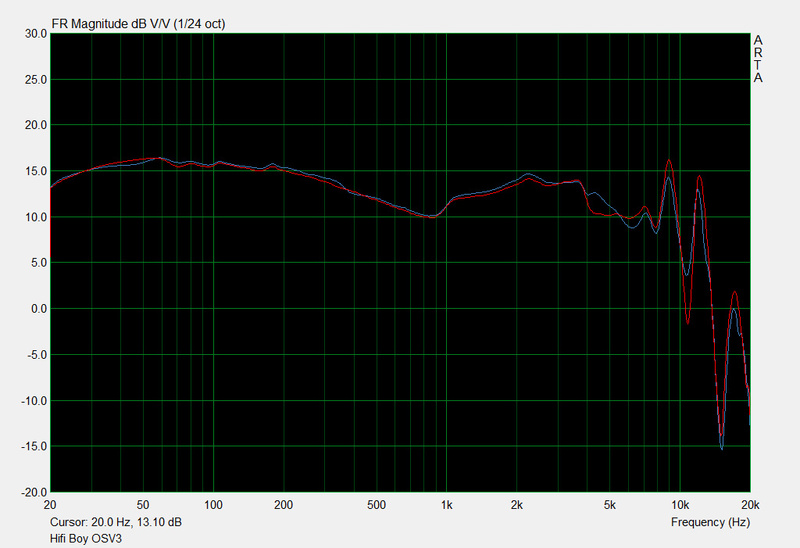 With OSV3 being a hybrid, I decided to let it burn in for about 100hrs before getting into a detailed sound analysis. I did briefly listen to them out of the box, and felt the sound was a little thicker before the burn in. It’s hard to go by memory, especially when changes are not as drastic, but after 100hrs of standalone burn in while playing a random song in a loop, I felt the sound opened a little bit, becoming more transparent, less congested. In terms of tonality, OSV3 has a well-executed natural tuning with a mildly v-shaped signature where in my measurements and a sine sweep I found a little dip around 1kHz. The sound has a fuller body with an organic tonality, yet still very clear and detailed, just not too revealing or layered. Layering and separation is more on an average side, but the sound never gets congested or muddy, always under control with surprisingly good retrieval of details and a decent resolution of the sound. I was definitely impressed with a natural tonality of this IEM tuning. I found OSV3 soundstage to be above average, not very wide in a test with many portable sources, except for SP1000 SS which turns anything into holographic soundstage where OSV3 had no problem scaling up. The soundstage depth extends further, but not too far out of your head. Positioning of instruments was relatively accurate, though I found them closer to the center. With some IEMs I tested in the past, this could affect the accuracy of imaging, but it worked OK for OSV3. Now, for a more detailed analysis. 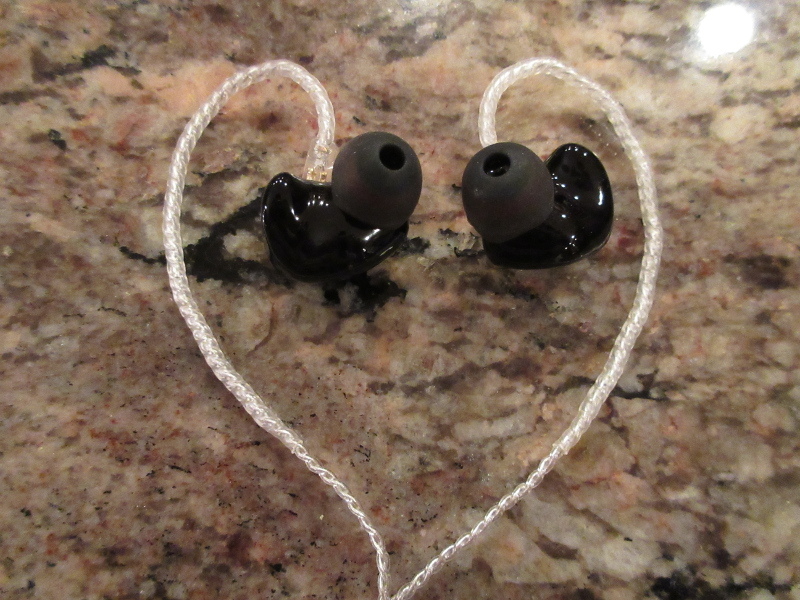 Starting with bass, these iems have a good low end extension, with a deep rumble that has a velvety texture. Mid-bass is average speed, not too fast or too slow, with an elevated impact but nothing overwhelming to be considered on a basshead level. Bass does have a little longer decay, giving lower mids more body, but still under control never muddying the sound. Overall, it’s a typical dynamic driver performance with an elevated quantity and analog DD quality, not as fast or articulate as you would find in BAs. Lower mids have a nice body, above neutral and with enough control to give a smooth transition of bass into mids. Upper mids have a natural organic tonality with plenty of clarity and good retrieval of details, though obviously don’t expect it to be on a micro-detailed level. Here, organic doesn’t mean warm or smooth, but rather a more natural non-fatigue timbre which comes through shining especially with male and female vocals. Treble has a good level of sparkle, but not too much crunch and reserved airiness. It’s enough to give the sound a good definition and at the same time to avoid any sibilance. It’s not exactly rolled off, just moderately tuned. Coincidentally, prior to receiving OSV3 2pin version, I had a chance to hear their early mmcx based model, and that one had a tuning with more forward upper mids and a little more crunch in treble. This new tuning is smoother and more natural to my ears. In the following comparison, I tested OSV3 against a handful of IEMs using a more neutral Plenue 2 and a warmer WM1Z as my sources to get a better idea how they compare, while also making sure the volume is matched. OSV3 vs Simgot EN700Pro - EN700 soundstage is a touch wider, while OSV3 has a more intimate stage feeling. Overall tonality of OSV3 is warmer with a fuller body and more v-shaped signature while EN700 is brighter, more balanced, with mids a little more forward. OSV3 bass extends lower with a deeper velvety rumble and punchy average speed mid-bass, while EN700 sub-bass has less quantity and mid-bass punch is more neutral in comparison. OSV3 lower mids have more body with thicker notes, while EN700 lower mids are lean and more neutral. 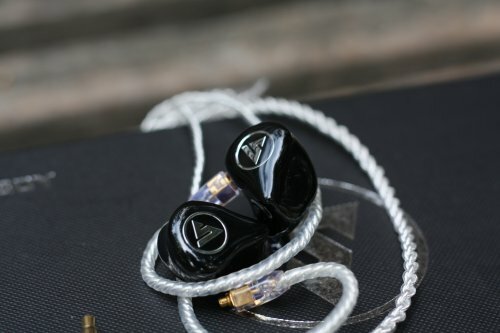 Up from there, upper mids and treble have more similarities, though due to its neutral signature, EN700 has a perception of more forward and a little more revealing upper mids, while OSV3 upper mids are a little smoother and more natural in tonality. Both have a well-defined treble with a decent sparkle and moderate airiness, though EN700 is a little more airy and splashier at the top. The big difference between these two is the bass impact, more neutral in EN700 which gives mids a little forward presentation and more elevated in OSV3 which pushes mids a little back, giving this iem a more v-shaped sound sig. 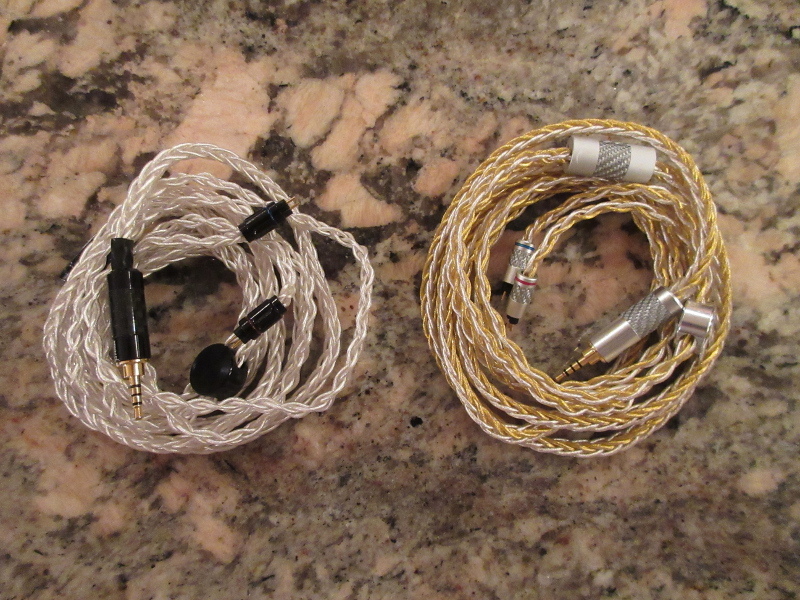 OSV3 vs Oriveti New Primacy - remarkable resemblance between these two iems. Nearly the same soundstage width with only a little more depth in OSV3. Bass extension and impact almost the same, a deep sub-bass rumble with a nice velvety texture, and average speed elevated mid-bass punch, fuller body lower mids without being muddy or congested; clear, detailed upper mids with a very natural tonality, and very well defined sparkly treble with just a perfect amount of airiness. The only difference here is in presentation of upper mids, especially noticeable in vocals, where OSV3 have it pushed a little back, giving upper mids more depth/space, while Primacy has upper mids a little more forward, with less depth, closer to the listener. While the tuning resemblance is hard to miss, I still find retrieval of details to be better in OSV3. OSV3 vs iBasso IT03 - IT03 soundstage is a little wider, while the depth is the same. Bass has a lot of similarities, in both cases going deep with a nice rumble and elevated mid-bass impact, though IT03 bass is a little faster. OSV3 lower mids are fuller, with more body, while IT03 lower mids are leaner, which contributes to a more v-shaped signature of IT03 in comparison to OSV3. Upper mids of OSV3 are smoother and more organic, while IT03 is more revealing and brighter. The same with treble where OSV3 is well defined but a little more rolled off and smoother in comparison to a little splashier IT03 treble with more sparkle and airiness. Overall, IT03 sounds more v-shaped and more fun tuned, while OSV3 is smoother and more naturally tuned. OSV3 vs Westone UMPro30 v2 - another comparison with a remarkably similar overall tonality. Typical of Um Pro series, soundstage will be narrower in comparison to a wider OSV3 staging. But everything from sub-bass and through mid-bass and lower mids is very similar, just a few subtle variations. Like for example, OSV3 has a little higher sub-bass quantity, but the bass hits as hard as Pro30, though Pro30 mid-bass BA driver is just a bit faster. Both have full body lower mids and clear upper mids which are slightly pushed back in presentation, though retrieval of details is a little better in OSV3. Also, OSV3 has a little more treble sparkle where in comparison - Pro30 sounds more rolled off. OSV3 vs UERR - starting with a soundstage, OSV3 is wider, while UERR is deeper with more out-of-your-head staging. In comparison to a neutral bass of UERR, OSV3 bass goes deeper with more sub-bass rumble and its mid-bass is more elevated with a stronger punch. Bass is probably the biggest difference in this case. Mids are very close in tonality (natural, smooth, detailed) and in technical performance (average layering and separation). UERR mids have a little more forward presentation, but only because of its more neutral bass impact. Treble has a lot of similarities as well, including a similar level of definition and extension, while the only difference is OSV3 having more sparkle and a little more emphasis on "sss", but never reaching a sibilance level. In a way, OSV3 is like an updated "fun" version of UERR with stronger bass impact and more sparkle in treble. With an impedance of 19 ohm and a sensitivity of 109 dB, OSV3 is very easy to drive with any source I tried. And I actually tried quite a few, including my aging Note 4 smartphone and my old T430s ThinkPad. Usually the phone and laptop scale down the performance, especially my laptop with its noisy HO. But a natural tonality with a great retrieval of detail in OSV3 is quite forgiving, and I enjoyed the pair up even with these lo-fi sources. With high end DAPs, the sound only scales up as I found it below. Plenue P2 mk2 (baseline test unit) - wide soundstage, slightly v-shaped signature, nice dynamic expansion, more natural smoother tonality with a good retrieval of details and an average layering and separation. Lows go deep and punch hard, mids are a little north of neutral, with upper mids being organic and detailed, treble is well controlled with a nice sparkle and moderate level of airiness. Hiby R6 (high output impedance) - wider soundstage expansion with an overall sound signature being more balanced, where I still hear bass going deep and hitting hard (maybe a touch harder), mids being very detailed and natural in tonality, slightly more forward in presentation, and treble gaining more sparkle and more airiness (probably the effect of higher output impedance). 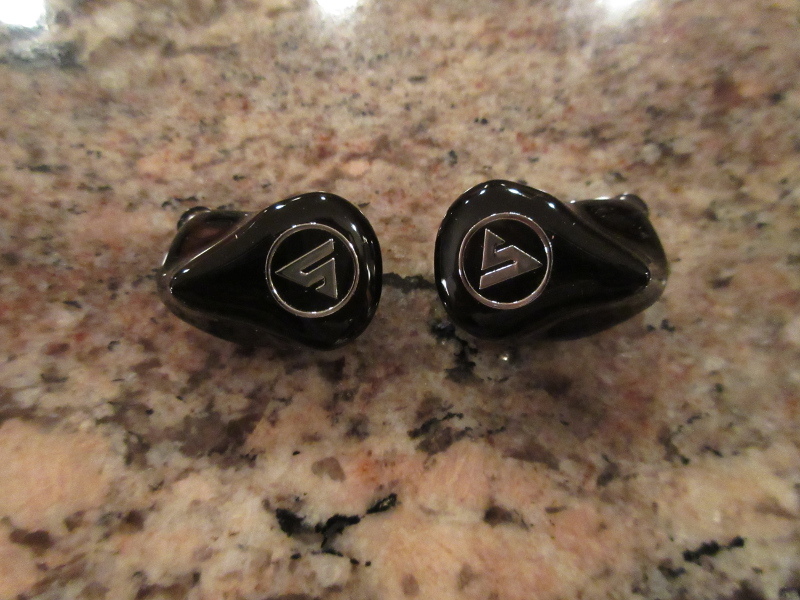 Definitely a great pair up which improves the sound sig and makes the sound itself a little more transparent. Lotoo Paw Gold (higher output power) - soundstage has the same width as baseline DAP, and the sound is still slightly v-shaped. The bass here (LPG) hits even harder, especially with a stronger mid-bass punch. Lower mids sound a touch leaner, upper mids a little more forward, but not by too much, and treble has a little more sparkle and airiness. A&K SP1000 (high resolution, holographic soundstage) - soundstage is much wider, the sound is still slightly v-shaped. Sub-bass goes low but a little bit leaner, and mid-bass hits a little harder and sounds faster. Lower mids a little leaner, upper mids are more resolving, more detailed, still sound natural, but more transparent and layered now. Treble has more sparkle and airiness. Sony WM1Z (high resolution, organic tonality) - soundstage is wider, the sound sig is still slightly v-shaped. Sub-bass goes low with a nicely textured rumble, mid-bass hits hard, but overall bass is well controlled and articulate. Lower mids are a little leaner, upper mids are resolving, very detailed, still sound natural with improved retrieval of details and blacker background. Treble has the same amount of sparkle and airiness. Before receiving 2pin OSV3 model, I had a chance to hear their original mmcx model, and I wasn't too crazy about the tuning where the bass was more neutral and the upper mids/treble where brighter and harsher. Of course, sound perception is a subjective thing, and I’m well aware that some of the budget Chi-fi brands are not always consistent with their QC. 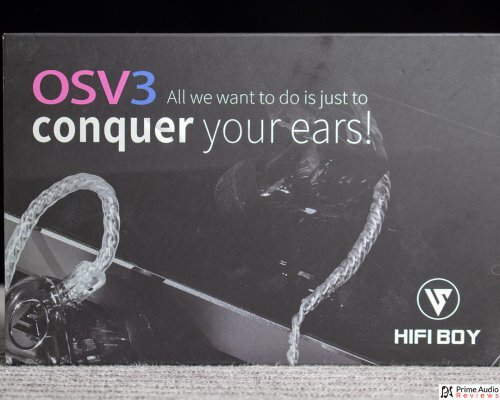 But as soon as I received 2pin version of OSV3, I quickly realized that HiFi-Boy updated not only the connector but also the tuning of these hybrid iems. I just wish they would have called it OS V4 to avoid the confusion with a previous version. 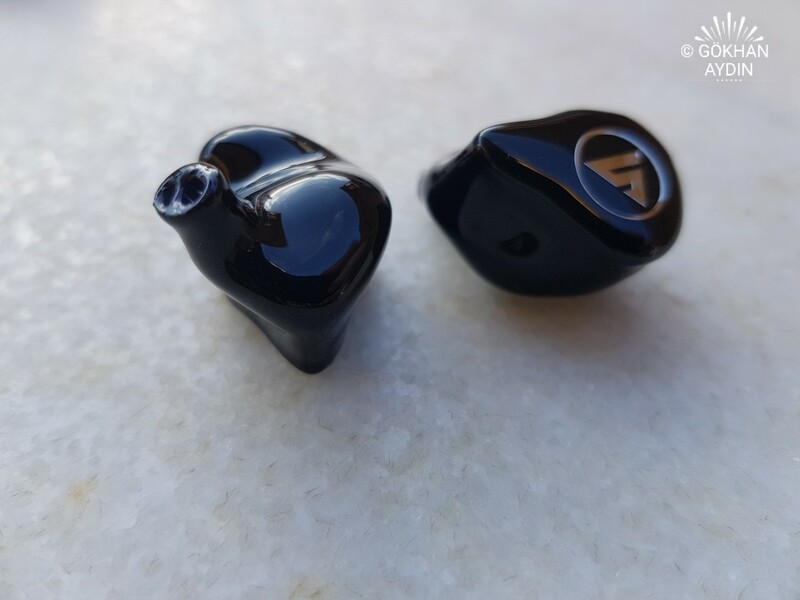 But nevertheless, this new "budget" IEM from HiFi-Boy definitely caught me by surprise with its natural detailed tonality and impressive low end extension. I was also very pleased how well it paired up with all of my sources, from lo-fi to summit-fi level, and how well it worked with any genre of music I threw at it. And to top it all off, these also have excellent design ergonomics with a comfortable fit and a great sound isolation. I already mentioned this in a few of my previous reviews that sometimes it's hard to go back to "budget" IEMs after being exposed to some of the biggest flagships in the industry. Moving forward, I can definitely see myself using and recommending OSV3 because I really enjoyed them. guicnovaes, Adide, noknok23 and 4 others like this. Great review! After reading the comparison with iBasso IT03, In similar price bracket, I'm wondering how OS V3 compares with the Creative Aurvana Trio. Thanks! How do you compare the OS V3 with the Westone UM PRO 50? 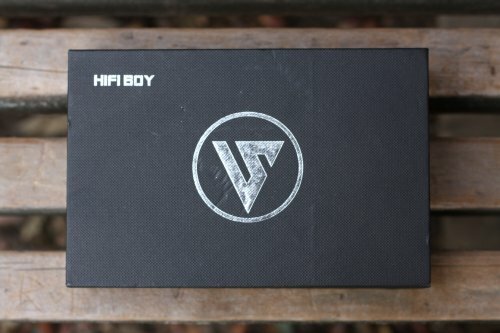 HiFi Boy OS V3 Review: Got Source? The HiFi Boy brand appeared from… nowhere. I’m not familiar with anything about them other than their Chinese roots. But they’ve made one thing clear: they don’t intend on creating products that flounder in their respective markets. To champion this principal, they’ve put forth the OS V3. It looks stunning, but does it have the sound to match? You can find the OS V3 for sale on Penon Audio, here, priced at $160. Disclaimer: This unit was provided to me free of charge for review purposes. I am not affiliated with HiFi Boy beyond this review. These words reflect my true, unaltered, opinion about the product. Preference and Bias: Before reading a review, it is worth mentioning that there is no way for a reviewer to objectively pass judgment on the enjoyability of a product: such a thing is inherently subjective. Therefore, I find it necessary for you to read and understand what I take a natural liking to and how that might affect my rating of a product. My ideal sound signature would be an extended sub-bass with a leveled, but textured, mid-bass. The mids should be slightly less pronounced than the treble, but still ahead of the bass. I prefer a more bright upper range. All music was served as MP3 @320Kbps or as FLAC. Given that the OS V3 employs one full-band BA driver, one high-frequency BA driver, and one composite-diaphragm dynamic driver, I was expecting a lot from it. I had predicted, based on previous trends, that the OS V3 would be attempting a V-shaped “pro” signature that I saw so often in 2017. That was not the case. HiFi opted to go with a warm sound signature complimented with boosted treble. I initially paired the OS V3 with the HTC DAC that came with my U11, which proved to be a mistake. The treble was overblown and harsh, and the bass was muddy and messy. Switching over to better sources was necessary. My Hidizs AP100 paired very well with the OS V3, allowing it to perform at a much higher level of fidelity. Treble is not the main staple of the sound signature, but it is fairly pronounced. Given that both BA drivers appear to be tuned to create treble, I was surprised by its cohesive nature. High hats and cymbals sound really good on the OS V3. They have pretty good separation within In One Ear. The treble has a quick and airy nature, and with it, an expansive feeling. Outlands really captures what I’m talking about. The string instruments all sound phenomenal and you feel like you’re in the middle of a massive performance. M83’s Midnight City sounded stellar. I expected the synths to be drowned out by the bass line and drums, but again, I was wrong (notice a trend here?). While they weren’t as pronounced as they were on certain treble-bound IEMs, the synths on the OS V3 remained separate and clear for the entire duration of the song. Unfortunately, however, the V3 does become sibilant at times. Satisfy does exhibit some sibilance, as do some other songs in my general music library. The mids have a warmer, fuller tilt to them. This really helps even out dryer recordings and mixing styles such as that of Flagpole Sitta. Guitars, electric and acoustic, sound phenomenal. The rhythm guitar in Flagpole Sitta had a good, though subtle, electric crunch to it too. Pianos and drums both have a satisfying hardness to them. This appears to be a distinct advantage that HiFi Boy leveraged when they chose to adopt a hybrid driver configuration. The quick attack and decay of the mids and consistent emphasis make it easy to make out the majority of the mid-bound instrumentation in the midrange. Vocals are particularly attractive on the OS V3. While both male and female vocals have above-average intelligibility, female vocals definitely take the edge in both clarity and timbre. 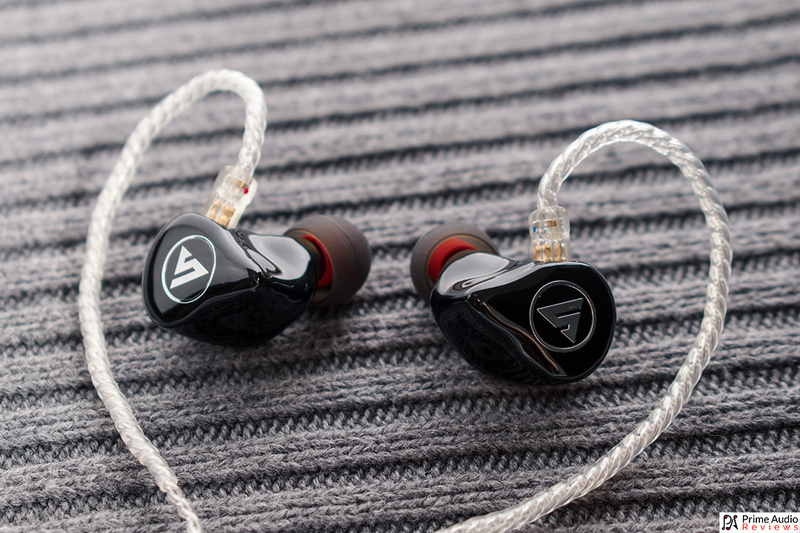 The OS V3’s bass is refreshingly firm and dynamic (pun intended). It’s been a while since I’ve had to contend with bass tuned by such competent hands, and I really put the OS V3 through the ringer. No matter what I threw at it, the OS V3 performed well. Be it sweeping sonorous lows of In For The Kill’s bass-line or the hectic bass-infused chorus of War Pigs, I couldn’t break the V3’s bass. While it’s not as emphasized as the L-shaped quad-driver Rose Cappuccino Mk. II, the OS V3 makes a really good effort to satisfy bassheads. Rumble and impact are both very good and I am genuinely shocked that it can pull off such a quick attack and decay given that bass is driver by a dynamic driver. The V3’s construction quality is quite good. 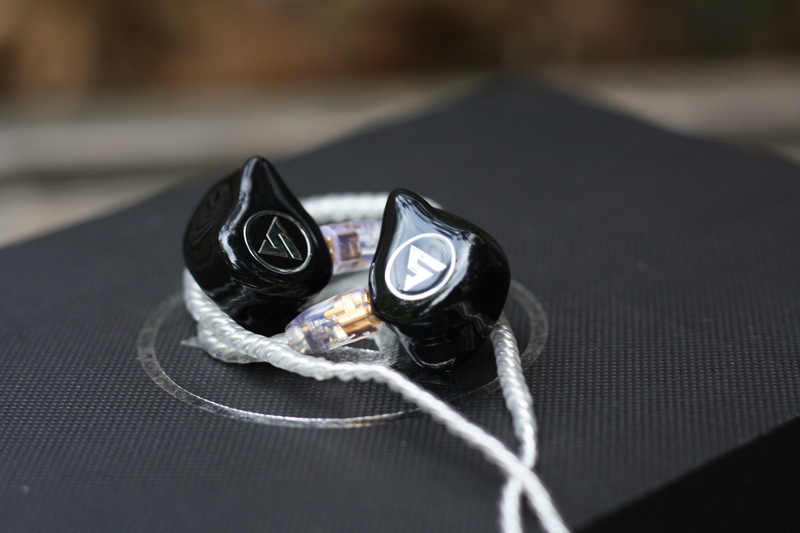 The driver housings are made from the same high-quality material that many upper-end CIEMs are made from. They’re extremely polished and are quite strong. Embedded in the face-plate is a chromed HiFi Boy logo that looks very professional. I am really enticed by the low-profile looks of the V3. The version I was shipped makes use of the MMCX standard. HiFi Boy used very good female connectors, and the seal between the male and female components are very strong and do not rotate very easily. Be aware that currently Penon Audio only shows 2-pin versions on their site. The nozzle is dual-bore. I speculate that the two BA drivers share a bore while the dynamic driver has one all to itself. The V3 is bass ported well. It pulls in air from an unobtrusive spot that is unlikely to be covered up by your ear anatomy. 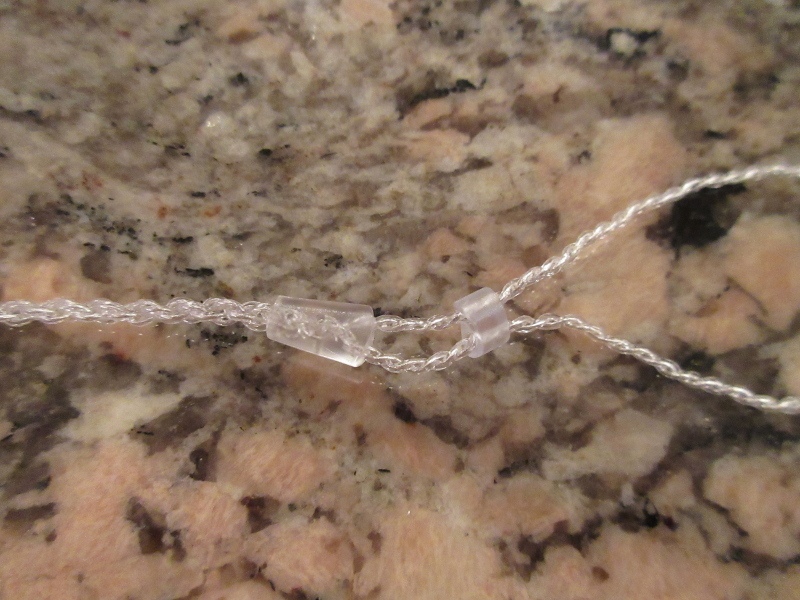 The cable is made from silver and makes use of a dual-chain braid. The geometry is precise and tough, and I have no concerns about the longevity of the cable. The Y-splitter is made from a hard clear plastic that lets you see into it quite well. 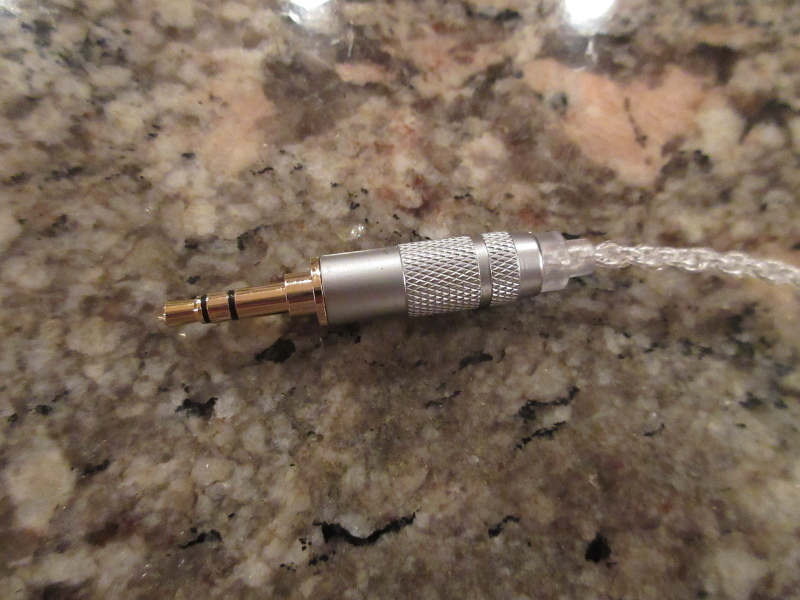 HiFi Boy also opted to include a chin-slider on this cable, an addition I’m sure many of us appreciate. The V3’s shells are very ergonomic. I see a strong resemblance between them and those that are used in the Kinera H3. Therefore, if you were comfortable with the H3 (like I was) then the OS V3 should pose to threat to your aural comfort. The good: the airline adapter works, the silicone eartips are very comfortable, and the case is large enough to fit all the accessories and then some. The bad: there are no foam eartips and it looks like the eartips go from Large to Small to Extra Small. Where’s the Medium size? 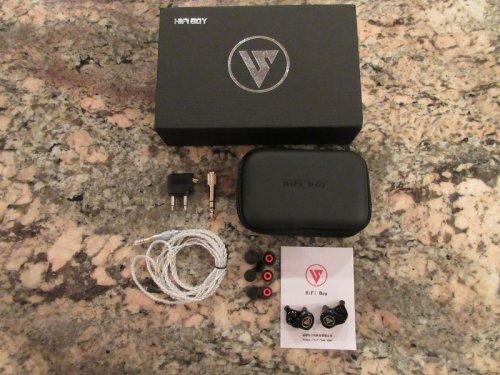 The OS V3 is a great debut IEM from HiFi Boy. It’s a bit rough around the edges but still offers a great value, especially for those seeking a bassier and warmer sound signature. Chi-Fi manufactures beware: HiFi Boy is on the loose, and it appears that they want to make waves! My special thanks to Penon Audio and HiFi BOY. The HiFi BOY OS V3 IEM was provided to me for free of charge by Penon Audio as a review sample. I am not affiliated with Penon Audio or HiFi BOY beyond this review and these words reflect my true, unaltered, but subjective (I am a Human) opinions about the product. HiFi BOY is a high-end Hi-Fi audio brand launched by China Chengdu Fallante Technology Co., Ltd. This is an integrated research, development, production and sales technology company. It is mainly engaged in manufacturing, sales and development of Hi-Fi headphones, multimedia speakers and bluetooth audio equipments. Brand CEO, Mr.Chen combined with a number of acoustic engineers a team to make HiFi BOY to a cost-effective HiFi brand. The HiFi BOY OS V3 can be purchased on Penon Audio for 199 USD. The HiFi BOY branded carrying case is bigger then regular zipper cases and can store all in the package included accessories. 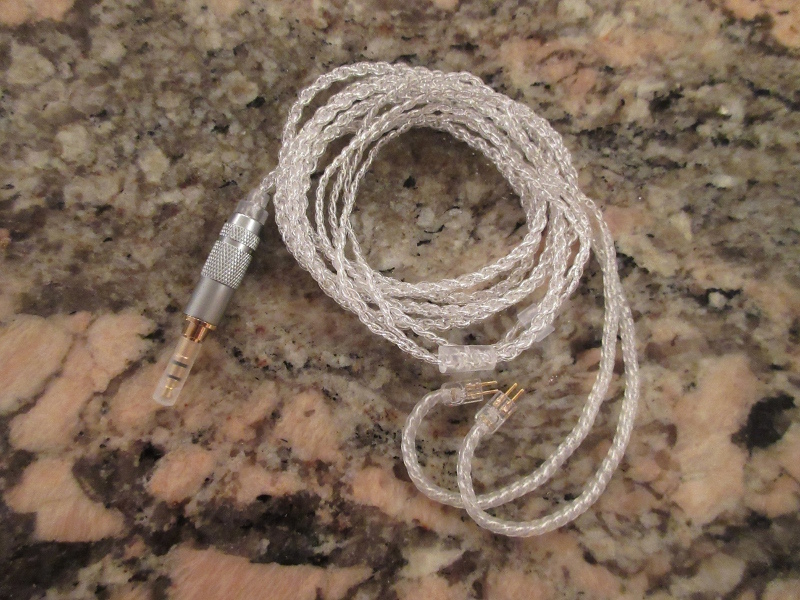 My HiFi BOY OS V3 came with a 4 braided Silver Plated Copper (SPC) cable that has MMCX connector, but HiFi BOY made an update and the OS V3 will now be sold only with 2 pin connectors. The cable is transparent and looks pretty good. The cables is right angled and has a rhodium plated 3.5mm SE jack that looks and feels sturdy. 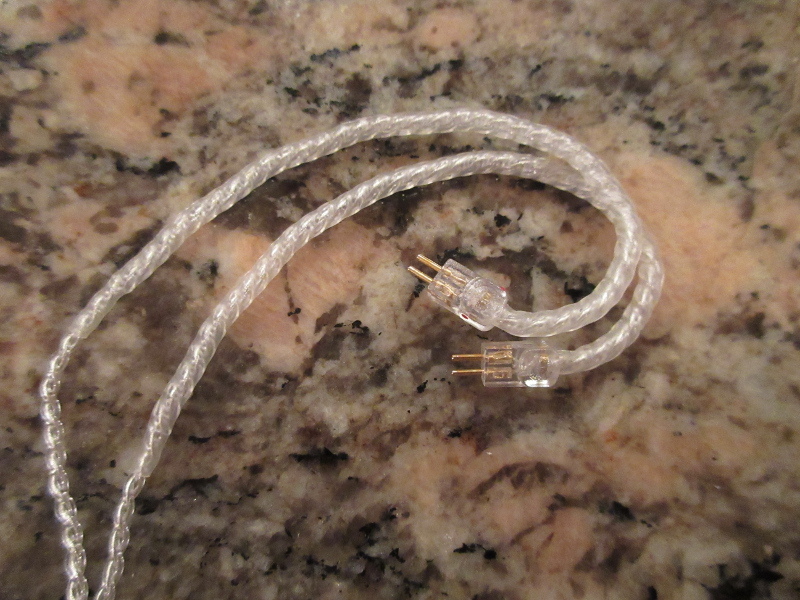 The cable itself has no microphonics and the memory wire is made of a transparent shrink tube coating that is comfy. 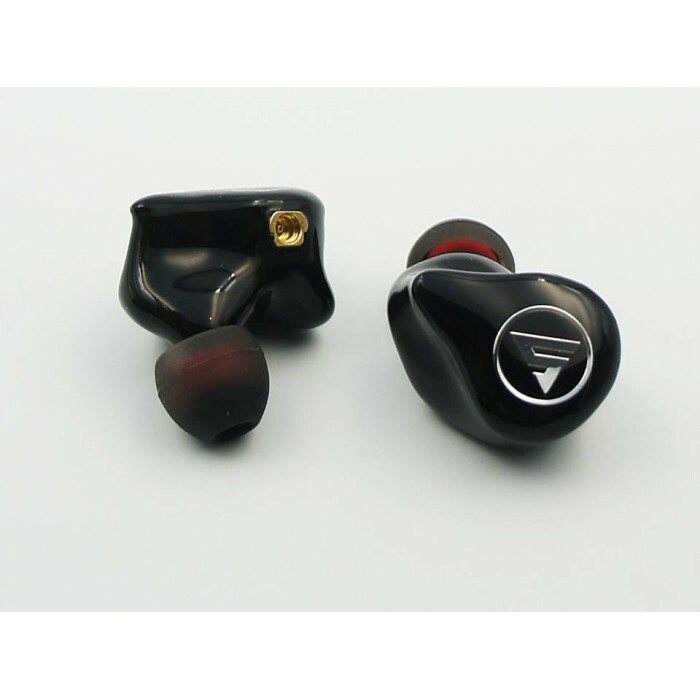 The HiFi BOY OSV3 is an In Ear Monitor (IEM) that is made of a resin based shell. My unit is in black color and has a beautiful shiny appearance. 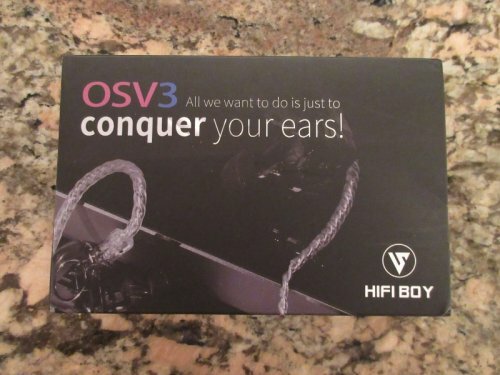 HiFi BOY offers the OS V3 also in Blue and Red colors. The OS V3 is handmade but it has a great build quality without any noticeable flaws (burrs etc.) and looks rock solid. It has to bores on the nozzle, one for the dynamic driver (bass) and the other for the 2 balanced drivers (mid & treble). It has also one bass vent on each monitor at the sides. The HiFi BOY OS V3 has a custom like molding that can be called semicustom like the StageDiver Series of the German company InEar Monitoring. The OS V3 has a very good fit and seal due this semicustom like housing and I had no comfort issues while wearing it for many hours (with pausing every 20min. 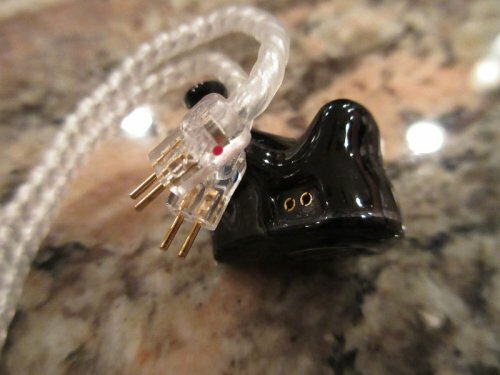 I don’t expect a Custom IEM (CIEM) like isolation form the OS V3, but I think that it has a very good isolation for a Universal IEM (UIEM). 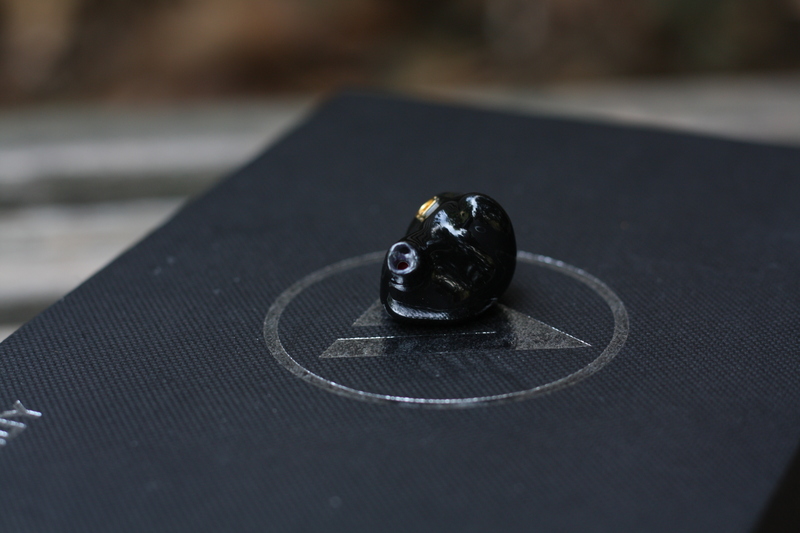 The HiFi BOY OS V3 is easy to drive and a quite sensitive IEM with an impedance of 19 Ohm. The OS V3 is ideal for all type of portable Digital Audio Players (DAP’s) and even my Samsung Galaxy S8 and IPad Air 2 could push the HiFi BOY to very high volumes without any noticeable struggling. This HiFi BOY OS V3 review is written by me after an intensive burn-in process of 100 hours. I have used the stock provided silicone ear tips due this review. 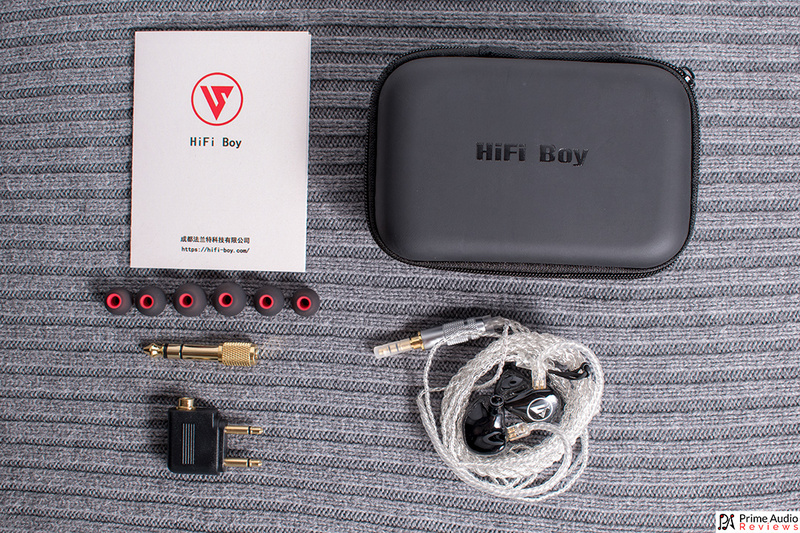 HiFi BOY OS V3 can be classified as an IEM with a V-shaped sound signature. The lows and the treble frequencies have more weight in comparison to the slightly but not too much recessed midrange. The OS V3 sounds warmer than neutral in almost every track I have listened with it so far. This frequency range can show some variations depending on the paired up source. For example; the HiFi BOY OS V3 sounds softer, warmer and more musical with sources like the Chord Mojo or the IPad Air 2. The Aune M2 Pro in the other hand sounded more balanced and effortless while the Zishan Z2 had a thinner and brighter presentation. The low end presentation of the HiFi BOY OS V3 has this typical character of a hybrid IEM with deep impact and nice rumble that is produced by a relative small 7mm diameter dynamic driver. The sub bass quantity is well done, has great texture and is not overpowered in its general sound presentation. You can feel the sense of power that comes from this region, but as mentioned before, the sub bass quantity that is reproduced from the single dynamic driver (the 2 BA drivers are for treble and mid presentation) is not on a bass-head level. The sub bass representation of instruments like kick/bass drums, bass guitars and electronic synthesizers are great. For example the song of “Twenty One Pilots – Fairly Local”; the sub bass right at the beginning of the track has a nice wow effect, the impact and rumble is quite impressive. The bass notes have more presence than the sub bass in the lower frequency region. The bass reproduction of the HiFi BOY OS V3 is giving a nice solid layer to the sound with good rumble. The good thing about the OS V3 bass presentation is, that there's not too much bass emphasis to be found unless the track is asking for. For Example the legendary song of the group “The Police - Every Breath You Take” is one of my favorites when it comes to analyze a bass guitar presentation. The HiFi BOY OS V3 excels very well in this area by presenting a smooth and tasty bass rhythm. The company HiFi BOY did a good job by tuning the lows of OS V3 relative balanced and not too dominant. Thanks to this choice, the HiFi BOY OS V3 didn’t sounded boomy or muffled while listening to some bass intensive and complex tracks. The HiFi BOY OS V3 is not a mid forward IEM and has a V shaped midrange. First of all, nice to hear that the bass doesn’t bleed in to the lower midrange, that could otherwise result a hollow and muffled presentation. The lower midrange of the HiFi BOY OS V3 is adding only a touch of warmth to the mids that is a welcome for some lower-stringed instruments like acoustic or electro guitars etc. Acoustic guitar passages in “Otto Liebert & Luna Negra’s” song “The River” sounds lifelike and delightful. The midrange provides a nice engaging and balanced sound that is not too analytical or warm for my taste. Both male and female vocals sounding relative realistic and emotional, but I think that female voices sounded more delightful to me. The voice of Diana Krall in her song “So Wonderful” sounds lush and emotional. The HiFi BOY OS V3 is maybe not the most detailed IEM in my collection, but I can easily say that the detail retrieval of the midrange is quite impressive for a 200 USD IEM. There is a small roll-off in the upper midrange area that is not to overdone. This is a good thing to avoid sibilance & harshness and is a good tuning, if you are listening music for long hours like me. 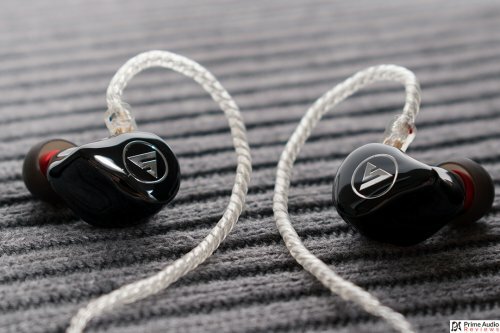 This tuning also avoids an upper midrange stress that is normally common for hybrid IEM’s and it reminds me to this of the AZLA-01R; very relaxed. The treble presentation of the HiFi BOY OS V3 is coherent and very balanced. The clarity level and definition around 5K is great. The treble of the OS V3 is in general not too upfront, but that doesn’t mean that its sounds grainy or too dry, in contrast; it sounds natural and relaxing. Instruments like Cymbal, Piano or Violin sounding quite realistic and have a nice sparkle. For example; the big cymbals in Megadeth’s legendary song “Sweating Bullets; seconds 0:11, 0:14 and 0:21; the bells sounding realistic and have great transition without loosing any control, that’s a really great capability for this price point. The top ends of the HiFi BOY OS V3 has enough air & brilliance, and is luckily not over boosted that would accentuate hiss or cause ear fatigue after long listening periods. For example; the upper treble extension of the OS V3 in Emmanuel Pahud’s (Claude Debussy) – Syrinx side flute (transverse flute) performance is satisfying and quite realistic. 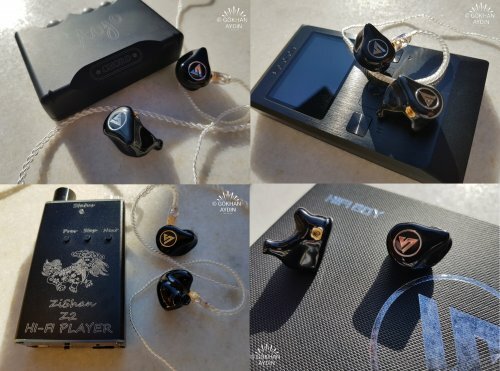 The treble presentation of the HiFi BOY OS V3 has impressed me due the review and I think that it is a great performer for a 200 USD priced IEM. The soundstage of the HiFi BOY OS V3 is not monstrous or claustrophobic it sounds quite realistic. It has more depth than width and there is enough space and air between the instruments that makes it possible to locate each ones position, even in complex passages. The Whizzer is a fantastic IEM for its price, especially the build quality accessories and detail level it provides makes it to a no brainer. The first comparison comes to the fit. The HiFi BOY OS V3 has the better fit and ergonomics due the semicustom design. The OS V3 is also lighter than the A15 Pro that makes it a better choice if you are listening music for long hours. The build quality on both is great, but the Whizzer A15 Pro has a metal shell vs. the resin based shell of the OS V3. The package and accessories that comes with the Whizzer is a lot more an on a higher level compared to the prices that they ask for. When we compare it for the sound, I can say that these two IEMs have not too much together. The A15Pro sounds more analytical and bright in comparison to the OS V3, which has an overall warmer sound signature. The detail level of both is in a similar level, the OS V3 has a little more micro detail then the A15 Pro. The Vocal presentation of both is great for the price they are asking for. The bass response of the OS V3 especially at the bass and lower midrange is better tuned and has more presence. The Whizzer A15 Pro is missing some bass that makes it not to a real all-rounder. When it comes to soundstage and imaging, both are quite capable in its own way. The A15 Pro has a wider soundstage while the OS V3 wins in the depth. The OS V3 is a good all-rounder with perfect fit, while the Whizzer A15 Pro is more suitable for those who prefer a brighter and more analytical presentation. The MEE audio Pinnacle P1 is a very capable IEM for the price. It has a very good accessory package, great build quality and a great looking stock cable. The fit of the Pinnacle P1 is great as the OS V3 and but the OS V3 is bit more comfortable. The isolation of the OS V3 is better due the semicustom design. The sound signature of the Pinnacle P1 is very similar to the Whizzer A15 Pro that I have mentioned above, but it has more bass weight that makes it more balanced. The P1 sounds brighter, thinner and has more sparkle at the top end. The OS V3 on the other hand has a more balanced coherent sound signature than the P1. 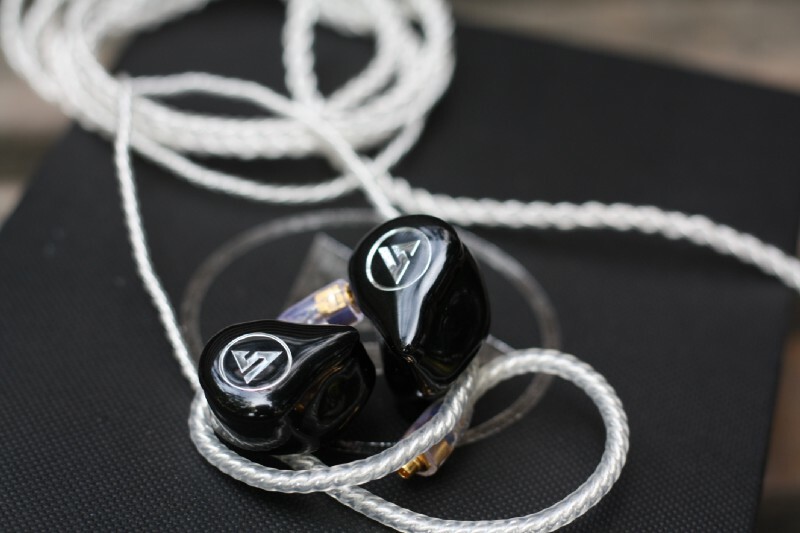 The P1 sounds a bit thin and dry at the midrange and there is also missing some bass weight and warmth that is not suitable for male vocals and instruments that needs thicker notes. The Pinnacle P1 sound a bit more airy and spacious. Both IEM’s have similar good soundstage presentations. The OS V3 has a deeper stage while the P1 has a slightly wider presentation. 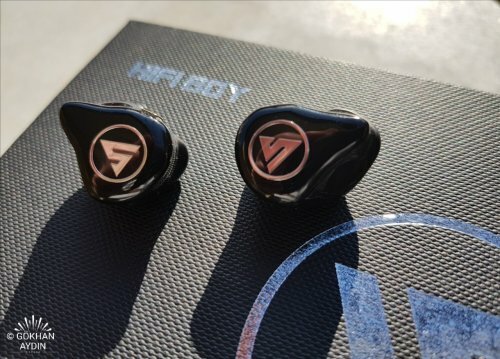 Both IEMs are great performers in the 200 USD price categories, but the HiFi BOY OS V3 is the better all-rounder for me. 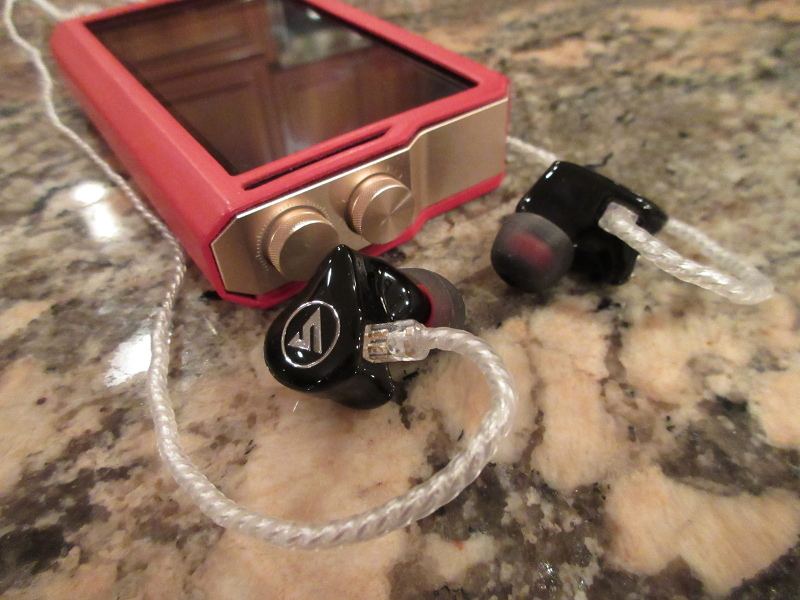 The Rose Cappuccino MK2 is one of my favorites IEM compared to the price. It has a wonderful stylish and comfy housing with two sound signature options, ON for a more reference and balanced sound and OFF for more bass emphasis, ideal for genres like Pop, Edm etc. I will compare it with the HiFi BOY OS V3 in switch ON position cause for the more reference type song. 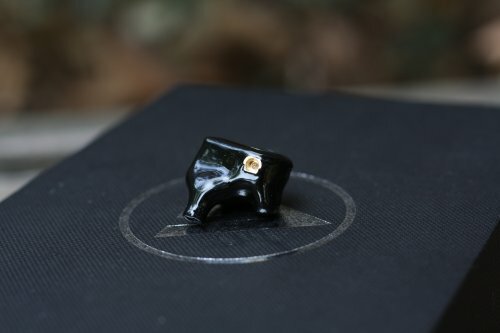 Both are small, handmade and nice looking IEM’s, the MK2 has the upper hand for customization, because you have a wide variety of color and faceplate design options. Both are comfy hand have a good seal. The Rose Cappuccino MK2’s build quality is good, but the HiFi BOY OS V3 looks more solid and better crafted in direct comparison. The Rose Cappuccino MK2 has also a V shaped sound signature but with even more prominent top end lower end. The bass of the MK2 goes lower has more rumble and has a better definition. The HiFi BOY on the other hand has a more balanced reference like bass tuning that is one of the best in the 200 USD price league. The midrange of the HiFi BOY is more in foreground and the vocal presentation feels more intimate as those of the MK2. The Rose Cappuccino has more boosts in the treble range, has more sparkle and sounds vivid, while HiFi Boy decided to make an IEM with a more overall balance. Both have an airy presentation and similarities for soundstage. The soundstage of the MK2 sounds similar in the width while the OS V3 has little more depth. 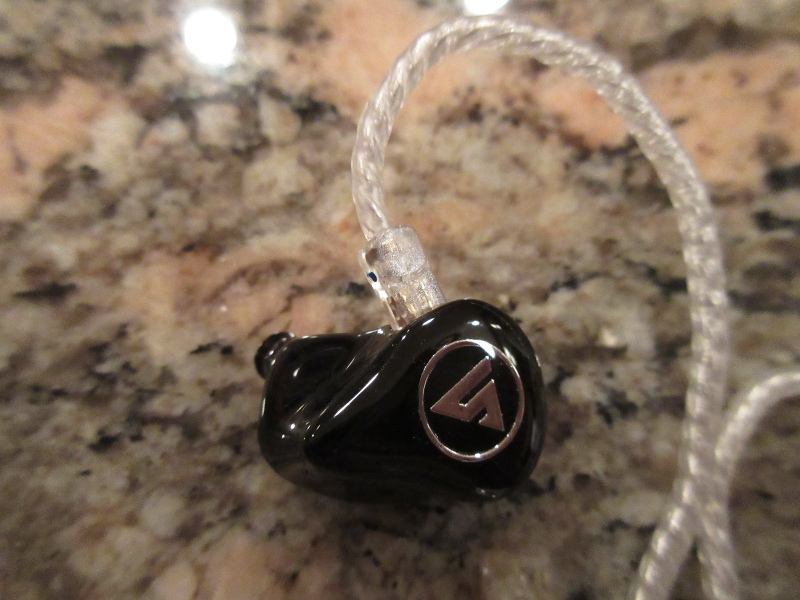 Both IEM’s sounding great in its own way regardless of the price. If you pay attention to price and for a more balanced sound go for the Hifi BOY OS V3, but if you have more money to spend and want two different sound signatures the Rose Cappuccino MK2 could be a good choice. 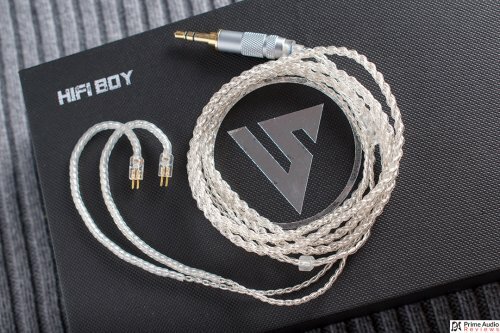 The HiFi BOY OS V3 is a nice looking semicustom like IEM with great built quality, nice stock cable and a great sound performance for the price. 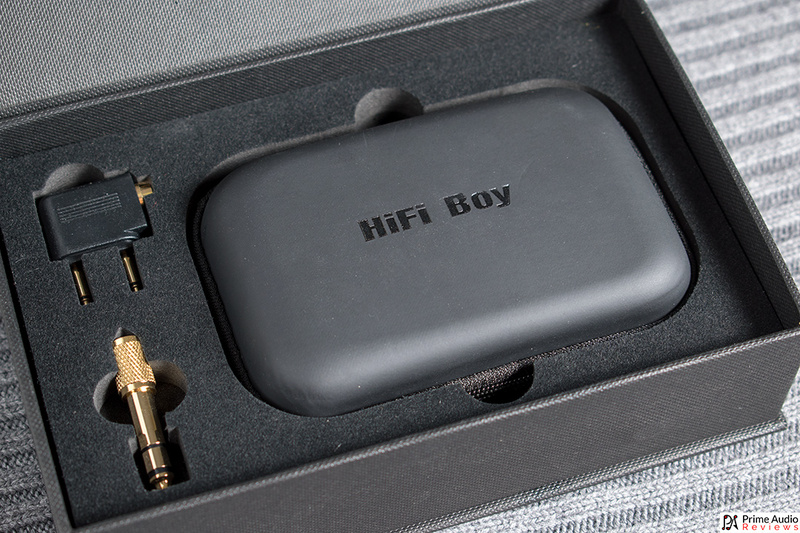 Nice to see new brands like HiFi BOY that makes such great products for a relative reasonable price. LetheFB, karanehir35, tarhana and 1 other person like this. HiFi Boy is a new Chinese company that started not too long ago. 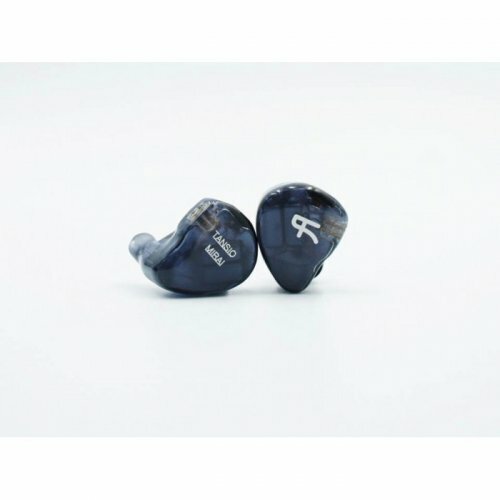 They produced the HiFi Boy OS V3 as their first in-ear monitor. It has a popular driver configuration – 2 Balanced Armature and 1 Dynamic. I would like to thank Penon Audio and HiFi Boy for this review unit. At the moment, you can purchase the HiFi Boy OS V3 from https://penonaudio.com/HiFi-BOY-OS-V3 . 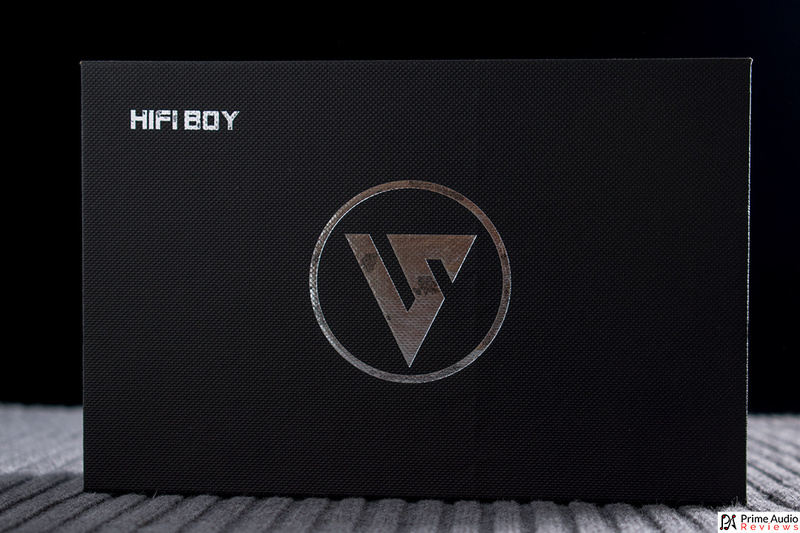 The HiFi Boy OS V3 comes in a matte black package that has the HiFi Boy logo printed at the front. 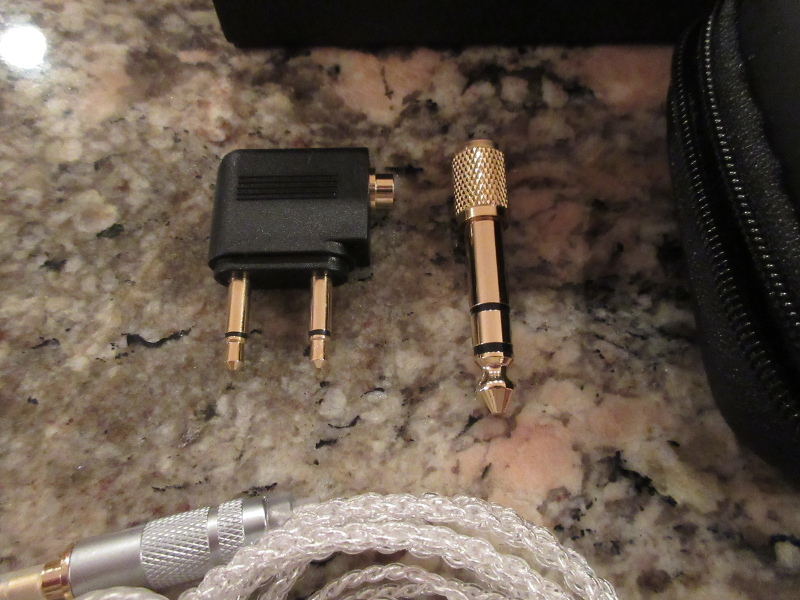 After opening the package, there is a HiFi Boy carrying case with the brand name printed on it, gold-plated headphone adapter and a flight adapter. Inside the carrying case, you get eartips and the iem itself. The OS V3 has a glossy black surface to its faceplate and shell. 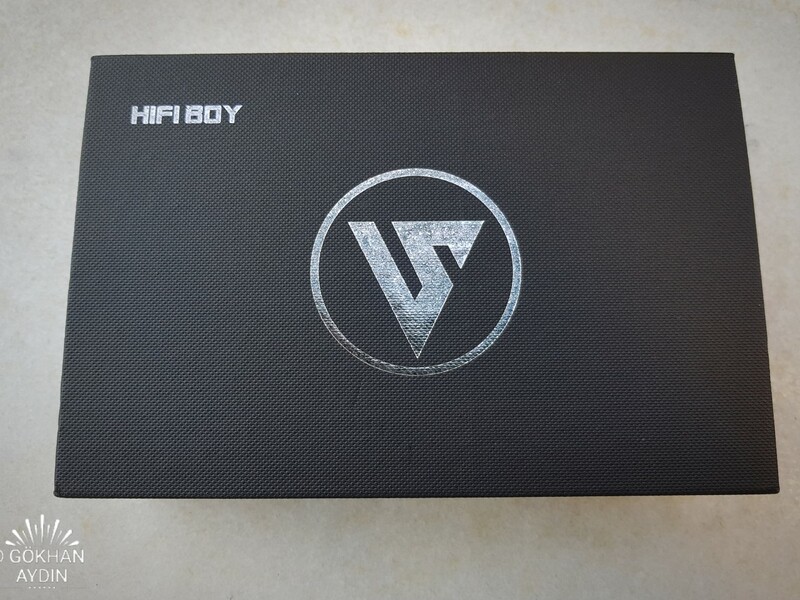 On the faceplate, there is HiFi Boy logo printed on it in silver colour. The shell is made out of plastic. The iem is not heavy at all. There is a vent at the side of the iem shell. The nozzle is angled with 2 bores. There are no L & R markings on the iem to differentiate between left and right. 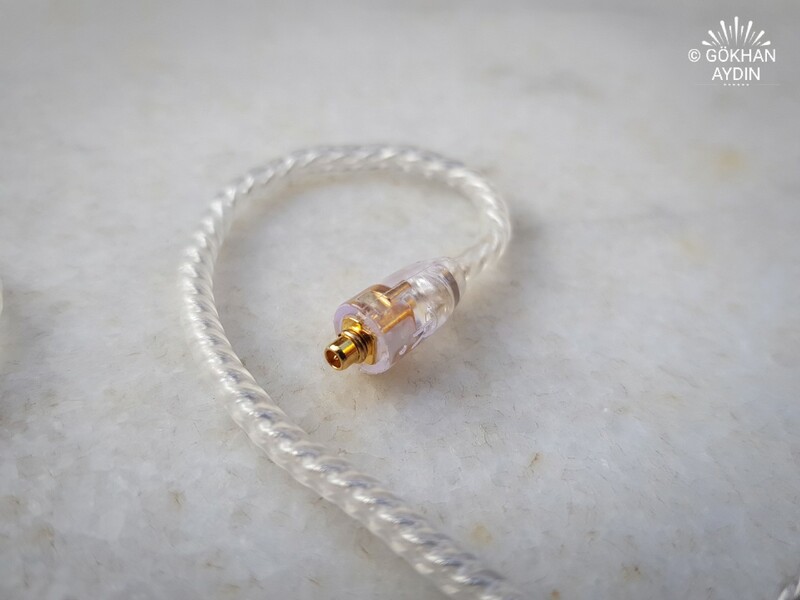 The cable is 4 core braided and it is made of silver plated copper. It uses mmcx connectors with a transparent housing. On the mmcx connectors, there are L & R markings to differentiate between left and right respectively There is a memory wire area section in which the cable is enclosed in a transparent heat shrink tube. However, it is still very flexible. The chin slider and y-splitter has a transparent housing. Lastly, the jack is 3.5mm rhodium plated right angled. It has strain relief and a transparent housing. The OS V3 has a well extended sub-bass with a quick rumble. The mid-bass is engaging with a nice slam and dynamics is being boosted. The extra punch provided by it accentuates the overall bass. Bass texture is rather smooth and it operates in a clean approach. The decay is rather quick and on the point. Each bass note is presented with a clean and precise hit. I find the bass to be very engaging. There is a good combination of texture and speed which results in a harmonious presentation. The transition from the lows to the lower mids is rather effortless. The midrange on the OS V3 is slightly v shaped and you will not get the thick and lush mids. Instead, it operates on the clean and transparent approach. The lower mids on the OS V3 does not have a lot of quantity and there is no hollowness in male vocals. The upper mids are slightly forward and there is no veil at all. Female vocals are sweet sounding. Overall definition on the midrange is good with details being presented. There is an energetic feel to it. The treble is extended greatly and there is body to it. Although it does not have a lot of body, there is still weight in its presentation. There is no sibilance and harshness. The lack of grain makes the treble soothing to listen to. Air rendered has a good amount of quantity and the presentation is not very heavy sounding. Crisp has a good definition and there is no congestion in the sound. There is a high level of details retrieval. The OS V3 has a natural expansion in its width to reduce congestion. Positioning of vocals and instruments is accurate and there is good separation. The depth is not close in with a good amount of space at the front. I feel the soundstage on the OS V3 is great. The OS V3 has less sub-bass quantity and extension than the IT03. 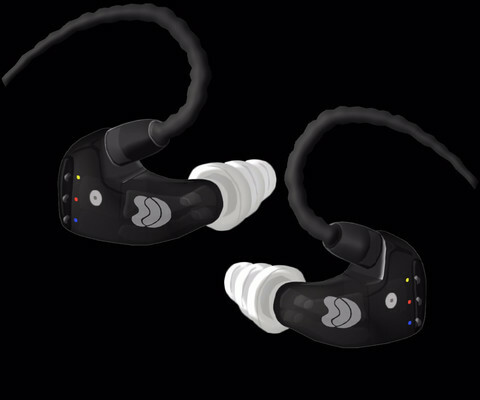 The sub-bass reproduction from the IT03 packs both quantity and extension. OS V3 has a good sub-bass but just cannot catch up with the IT03. The mid-bass on both is fairly similar and there is a good slam. Bass texture on the OS V3 is slightly more smooth and there is mastery on both. Decay on the IT03 is slightly quicker with a faster rumble that improve the dynamics and engagement. The bass note on the IT03 is presented with more finesse and the bass from the IT03 is on a higher level than the OS V3. In terms of lower mids, the OS V3 has slightly more body and male vocals are being expressed with more thickness without sounding hollow. For the upper mids, the IT03 appears to have an edge with more forwardness and female vocals benefit from it. In the treble section, OS V3 has more control and the mastery is shown. The energy from the IT03 is more existent. There is no sibilance and harshness on both. In terms of soundstage, the IT03 has the better width while the depth of the OS V3 has more space as it is not too close in. Vocals and instruments positioning is better on the IT03. Resolution of IT03 is better. The OS V3 has more sub-bass than the Forsteni and the extension is as deep as the Forsteni. The Forsteni hits slightly harder and there is more impact. Mid-bass on the OS V3 has a heavier weight and there is a better slam. On the Forsteni, it is more clean and clinical. Decay on both is very similar and a quick rumble is being expressed. The texture of bass is smoother on the OS V3. Moving on to the lower mids, there is more body on the OS V3 and it does male vocals justice. On the other hand, the Forsteni does not express male vocals as well as the OS V3 since quantity is lacking. For the upper mids, the Forsteni has more forwardness and crisp. Female vocals sound particularly well here. Treble articulation is more accurate on the Forsteni. Details retrieval on both is similar. Both operates in a rather similar approach. 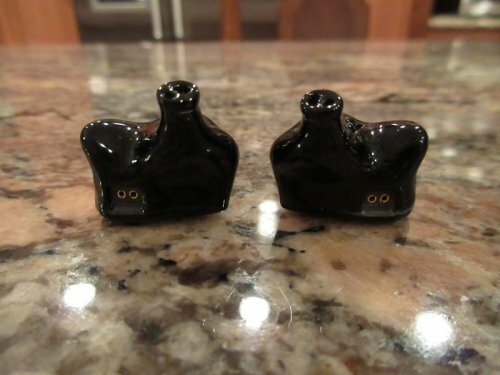 For soundstage, they have similar width and depth. Layering and separation is approximately the same. Resolution is at the same level. The Dorado has more sub-bass quantity than the OS V3 but there is more extension on the OS V3. There is more bass definition in the Dorado bass reproduction. Mid-bass on the Dorado has more slam due to more weight. The mid-bass presents itself in an authoritative manner. Bass texture on the OS V3 is more smooth. The level of finesse on the Dorado is more matured but I feel OS V3 is a more engaging listen due to its fun approach. The lower mids of the Dorado is thicker while for the upper mids, there is more intimacy on the OS V3. OS V3 has an organic feel to its top end. In terms of soundstage, the OS V3 has a good width with a natural expansion. There is more depth in the Dorado. Vocals and instruments positioning on the Dorado is more accurate. Resolution of Dorado wins slightly. The HiFi Boy OS V3 marks HiFi Boy debut in iems. It provides an alluring bright sound that has treble flair. Female vocals are portrayed in a sweet manner with a good level of details retrieval. There is good build quality on the OS V3 and excellent fit. 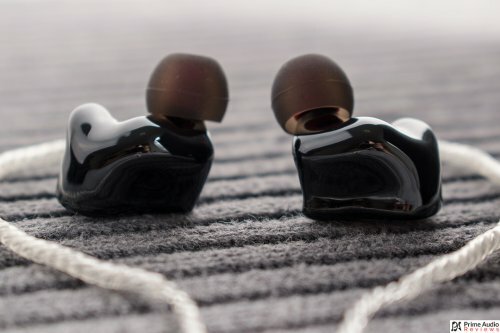 Overall, the OS V3 is nothing short of impressive for a company’s debut iem. For more reviews, visit https://audio123blog.wordpress.com/ . Jenz, karanehir35, pr0b3r and 1 other person like this. You can check out twister6 and moonstar reviews. The OS V3 can compete with the New Primacy. Cheers! Then I buy this model. Where is the cheapest price, I think Penon Audio or? Another question: Is there a ventilation opening for the bass? And how thick is the sound tube? You can also use complys if silicone is not working? You can get from Penon. There is a vent. I am unsure of the sound tube.